My wife and I found Greg and his staff to be first class. I was impressed with how well they listened to exactly what we wanted and how quickly they were able to find it. We were pleased with their pricing and no pressure sales approach. We also find the reputation of their service department to be comforting in terms of maintaining our vehicle over time. 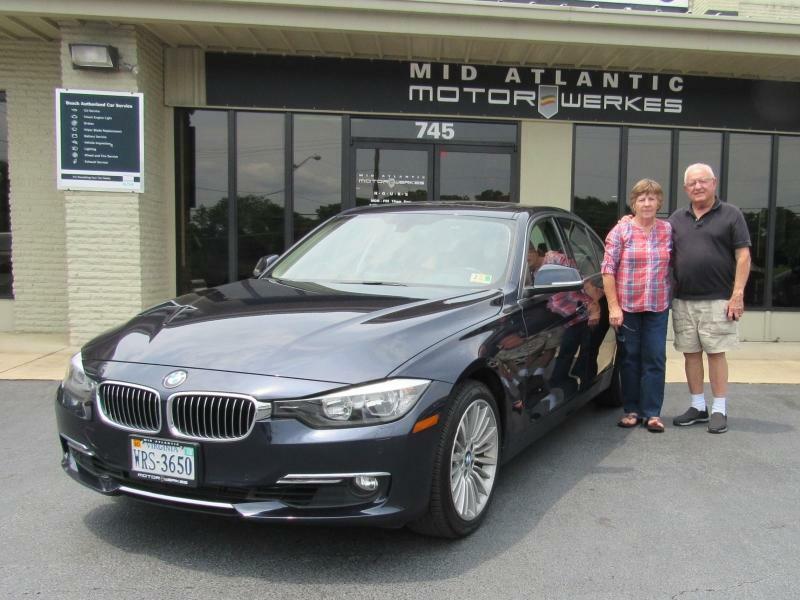 THANK YOU Mid-Atlantic MotorWerkes for making the purchase of our new car convenient, pleasant, and NOT stressful!!! This makes #5 for the Kershyl's! 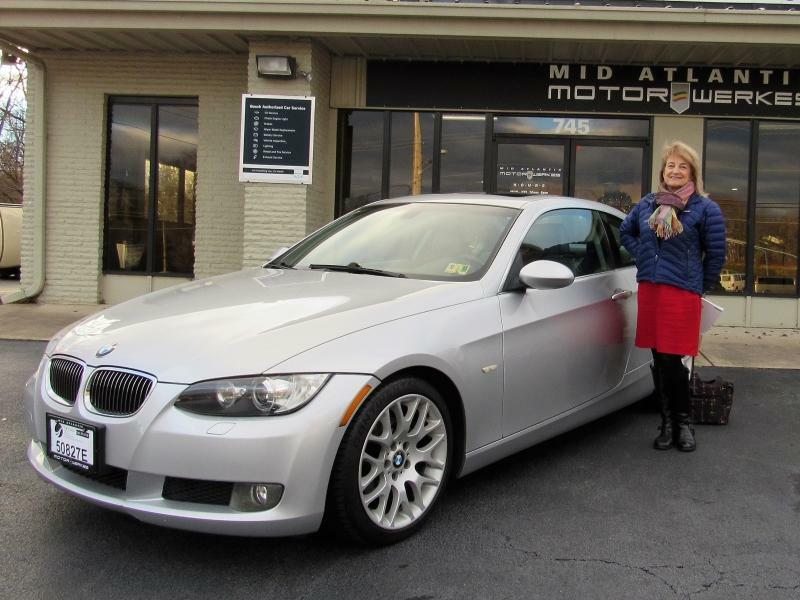 We bought our first BMW an X-3, from MAM five years ago. All of the needed maintenance and repairs Jason has performed in a professional and workmanlike manner and at a very, very fair price. 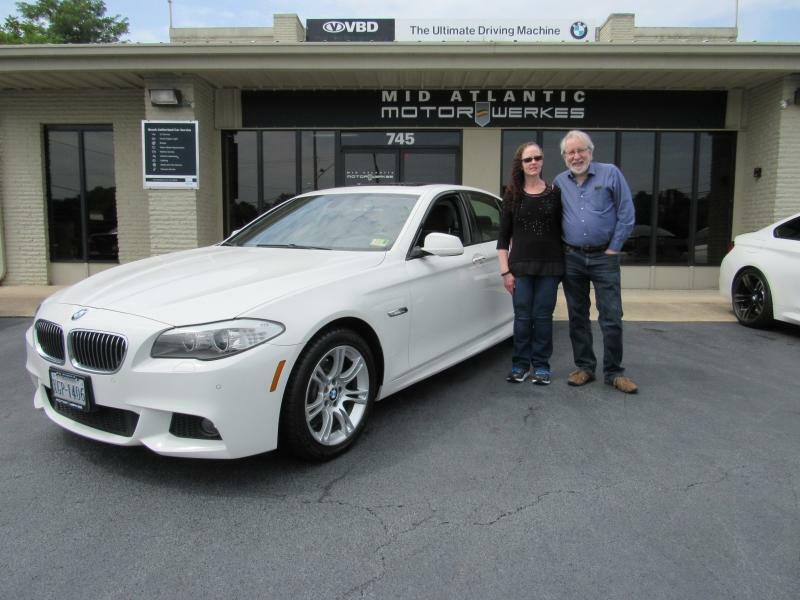 It was a no-brainer for us to purchase our second BMW, a one-owner X-5, from them as well. I have known Gregg for some time now and he was extremely fair with respect to our trade-in. 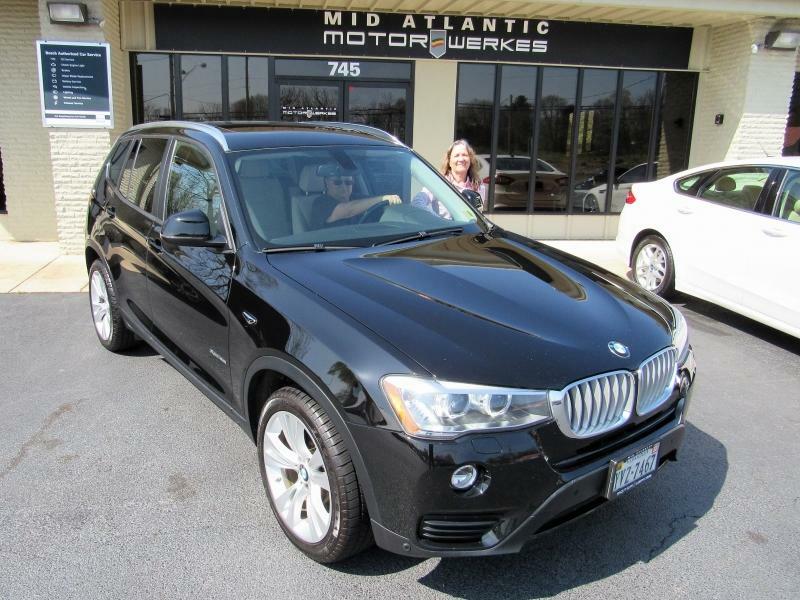 Knowing that MAM will be taking care of our new (to us) BMW was a prime factor in deciding to change vehicles now. We fully expect to be able to drive the X-5 for the rest of our lives. 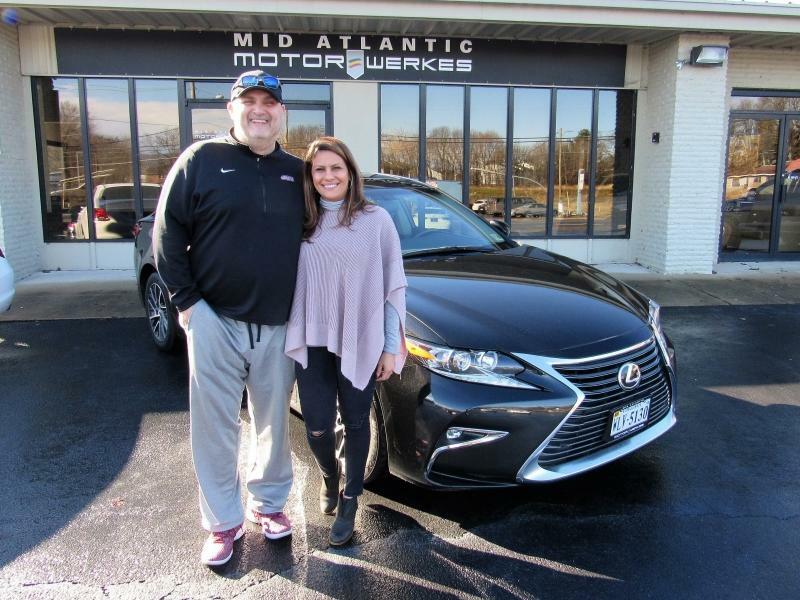 I could not have imagined a better experience in selling one car and buying another one than I've had recently with Greg and his staff at MAM. 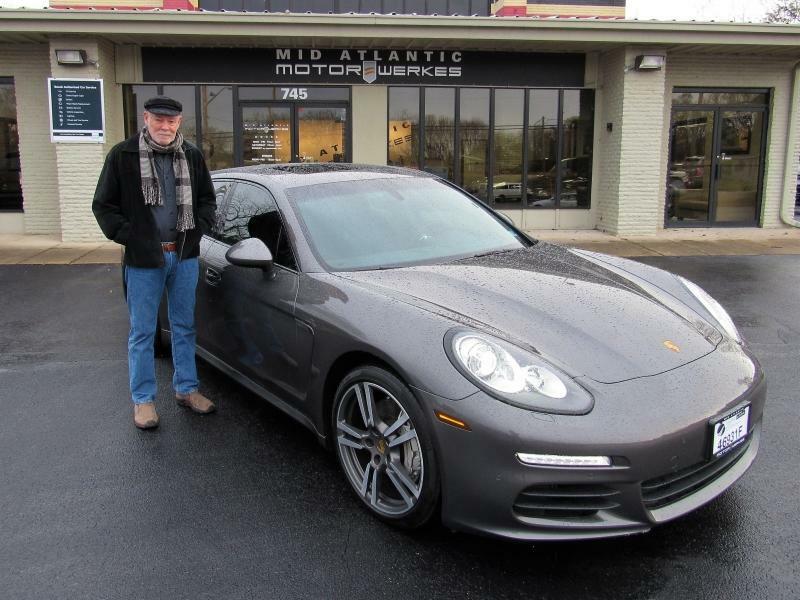 Greg sold my 2005 911S for me last fall and helped me replace it with a 2014 Panamera S in recent weeks. 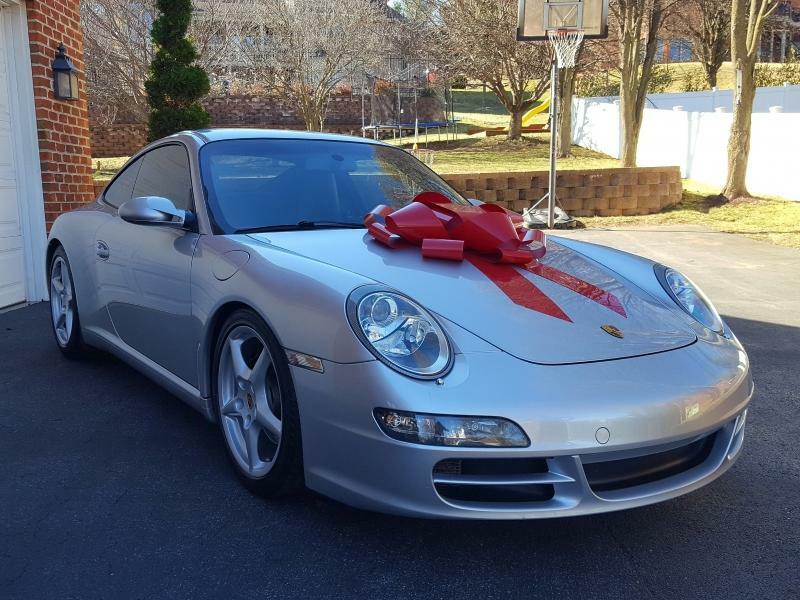 I had been looking for just the right car and when I found it online at a dealer in California, I asked Greg if he would help me get it and get it shipped here. 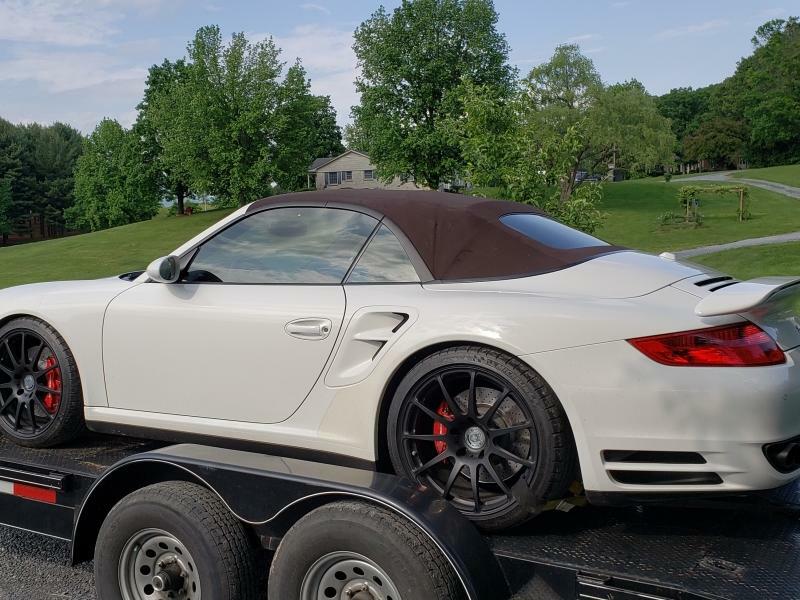 He got on it immediately and applied all of his knowledge and skill in getting me a very good deal, making sure the car was a good one to buy and then arranging for it to be shipped here. 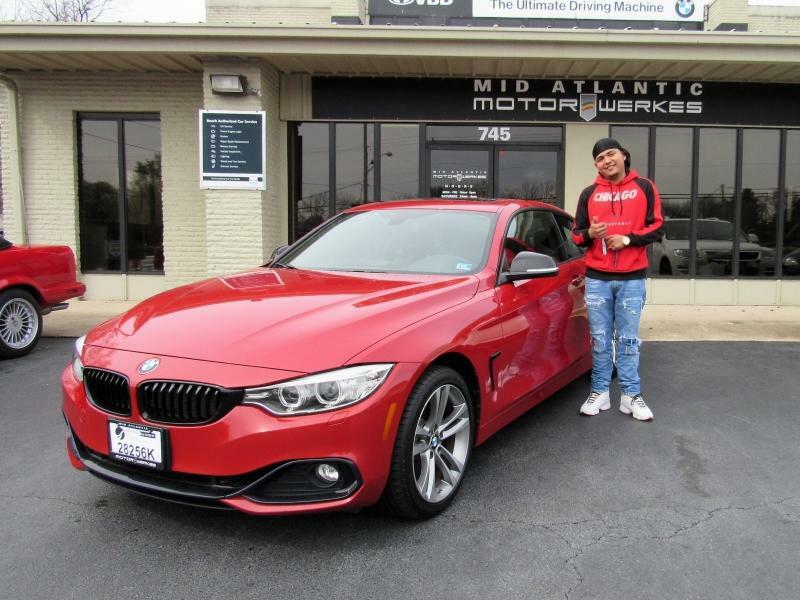 Once it arrived, he had his mechanic (Jason, who I trust completely from years of experience with him) go over the car completely and recommend anything it needed (brake rotors and pads and oil change) and do the work in a timely manner and at a very reasonable price. Jason always looks for ways to reduce the price on quality parts. And Dallas was very efficient and helpful in completing the paperwork and taking care of other requests and questions. The whole staff is very skilled, knowledgeable, efficient and friendly. I highly recommend them to anyone looking for a car or maintenance on a car. 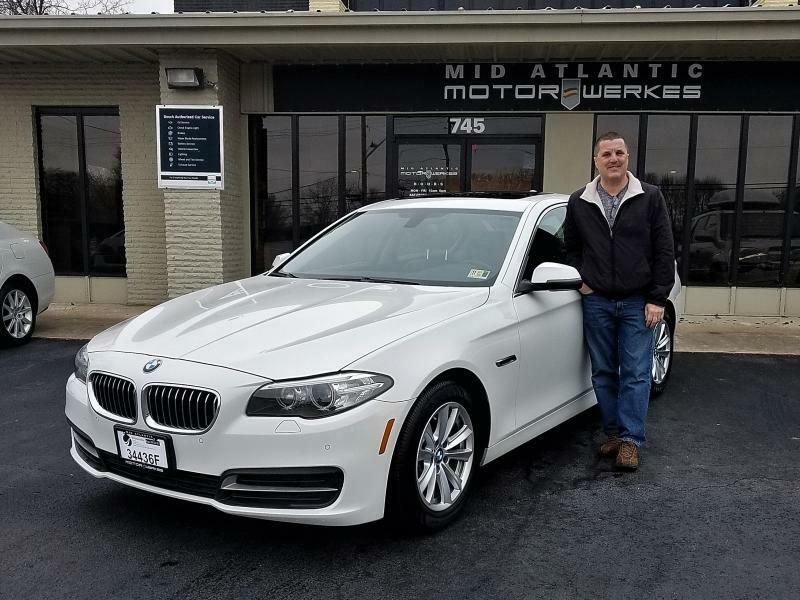 In 50 years of marriage, and multiple car purchases through the years, we have never, ever experienced the ease of purchasing a vehicle like we did with Greg Shaffer at Mid Atlantic Motorwerkes yesterday. 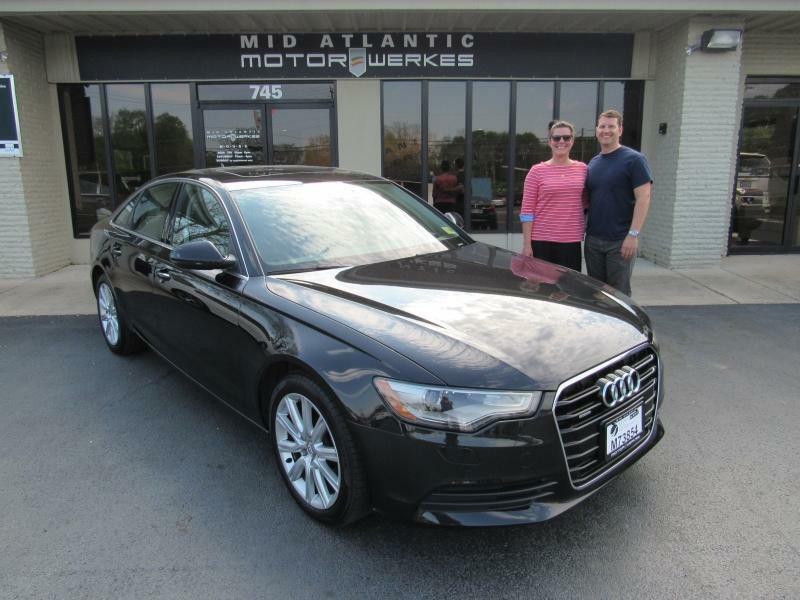 Tom saw the Audi on the website, called Greg to see if it was still available and we test drove it shortly thereafter. Sweet, sweet vehicle. It was in pristine condition. We drove it off the lot. The paperwork process was so efficient and took less than 15 minutes. Kudos to Dallas. Thank you sir. Greg took as much time as we felt necessary to show us all the features and answer our questions. In past purchases, I would leave the showroom and let Tom haggle about price. I can’t stand that process. 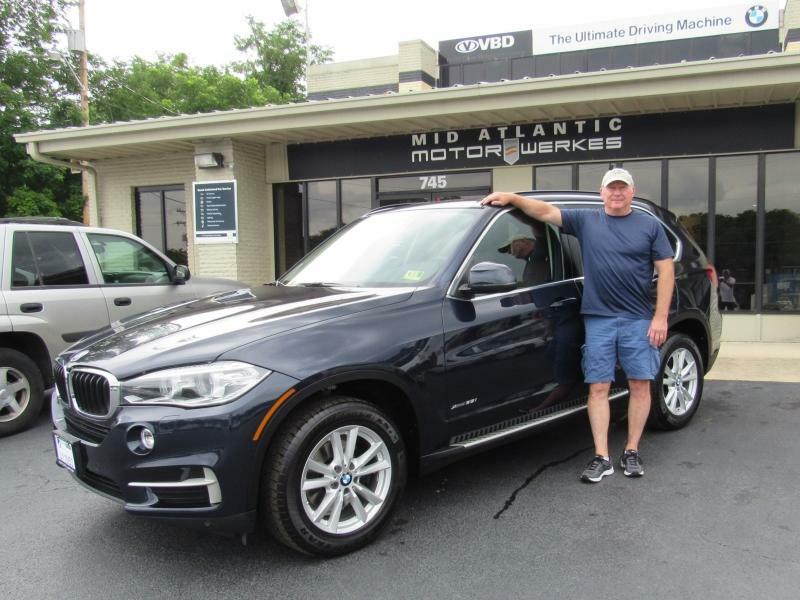 Greg was very open and honest about pricing and trade-in and I stayed for the outcome. He is very professional and personable. We are very happy with our purchase. More importantly, I’m ecstatic because it will be my primary vehicle to drive. Now the question is where can I go to enjoy the comfort and pleasure of the vehicle. I think I can figure it out. 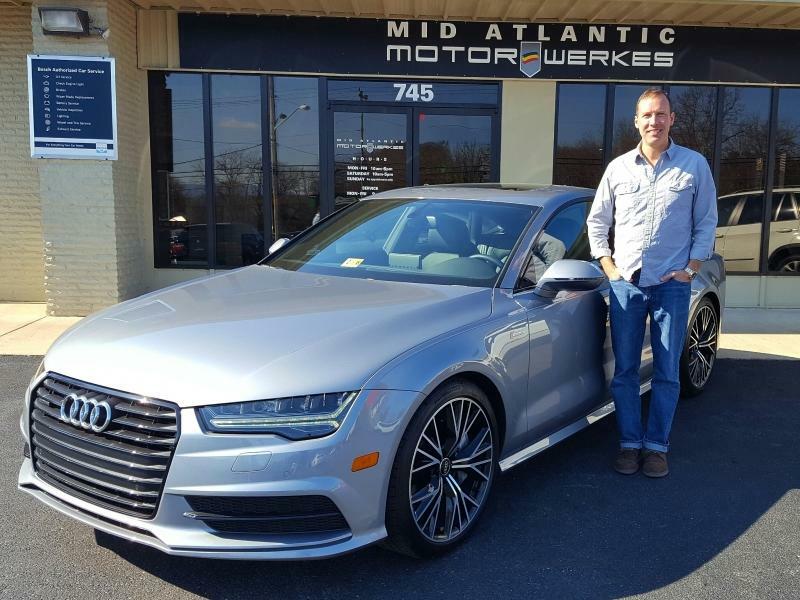 Thank you so much Greg, Dallas and Mid Atlantic Motorwerkes! 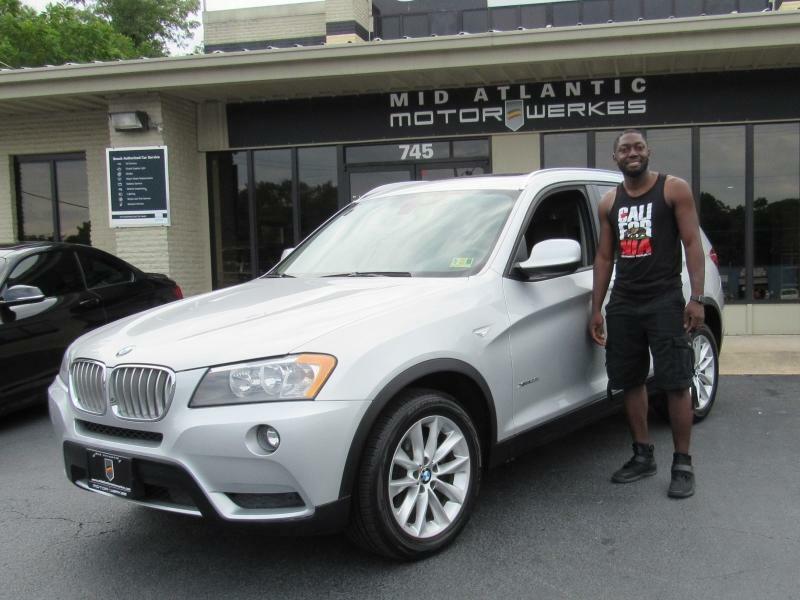 I would like to thank Greg and his staff for exceeding my expectations for a recent purchase of a BMW. 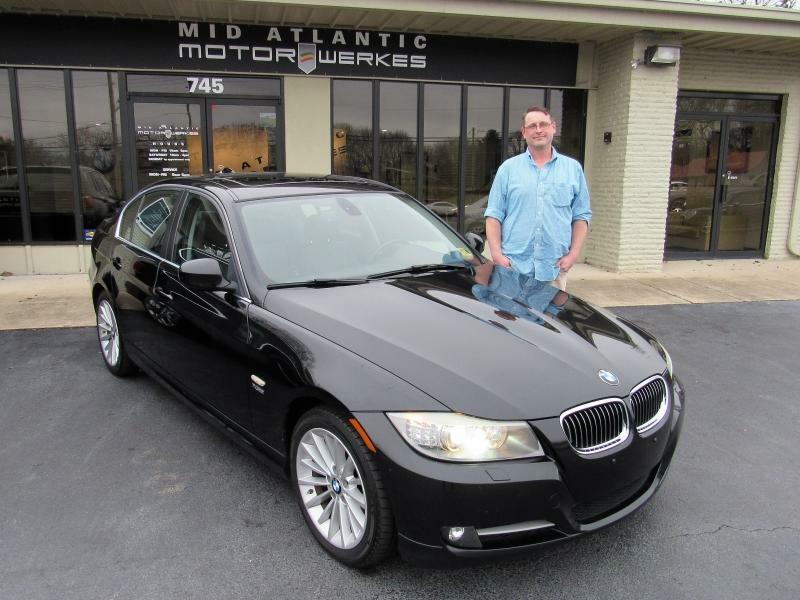 This my eighth BMW purchase from a combination of Motorwerkes and BMW dealerships. 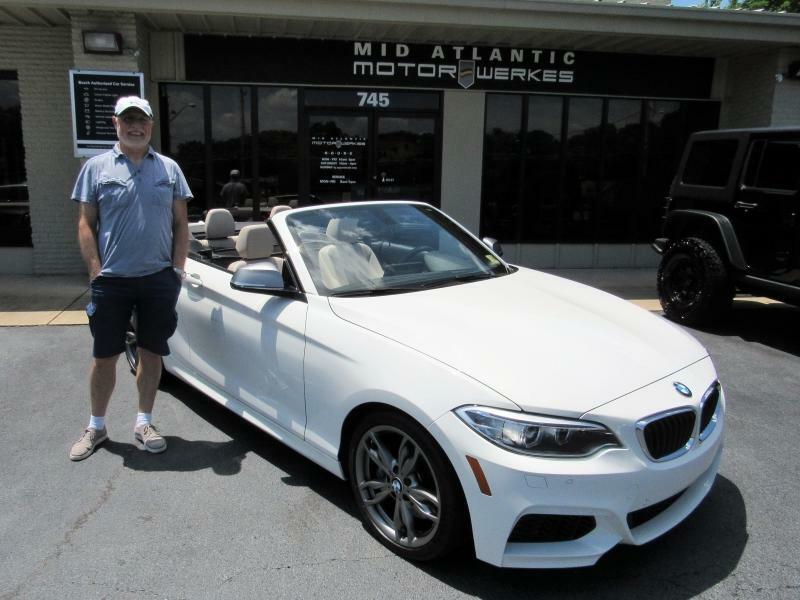 I reviewed all the BMW inventories at dealerships in a 200 mile radius. I then spoke with Greg about purchasing a car at auction and gave him my specifications. Greg located the BMW. I gave him my price range and he was the successful bidder at auction. When the car arrived, Greg inspected it with me. It was in outstanding condition. 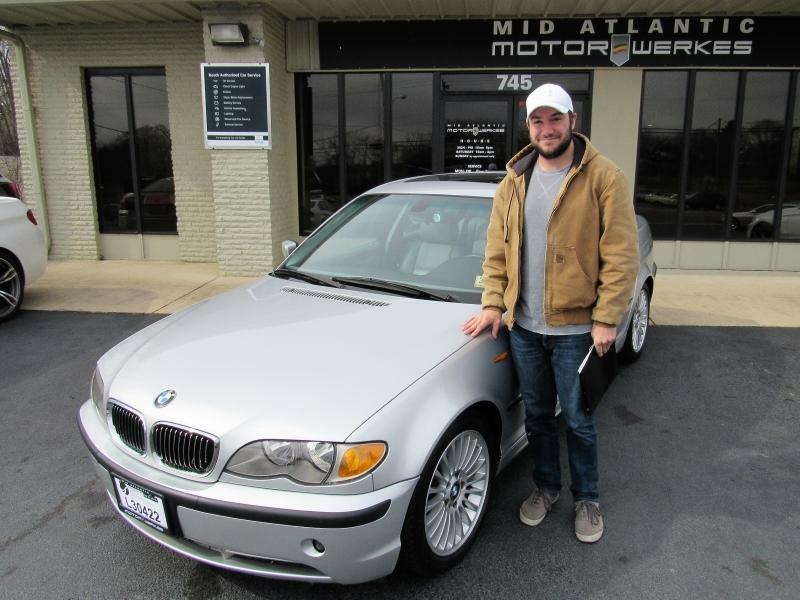 In my opinion, I was able to purchase this BMW for significantly less than at a BMW dealership. 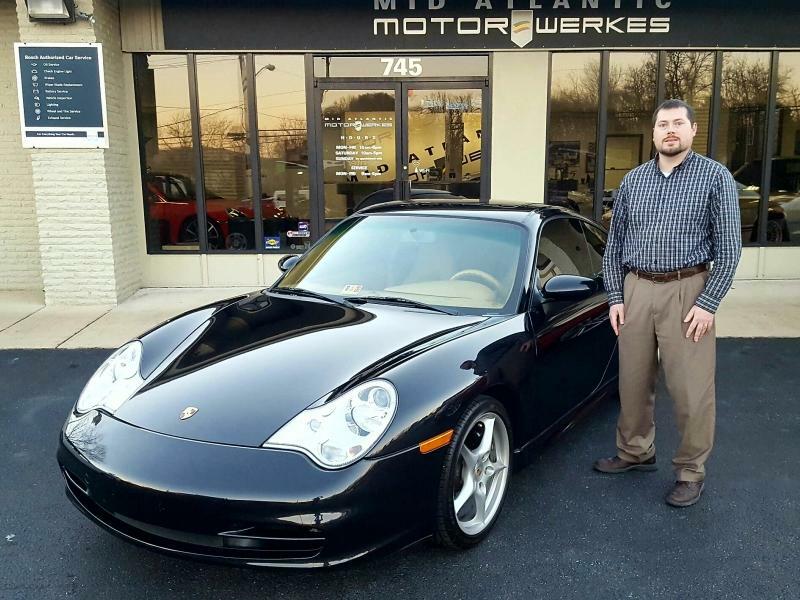 Greg and Motorwerkes offer a unique service and with their extensive experience and their shop is a top priority. 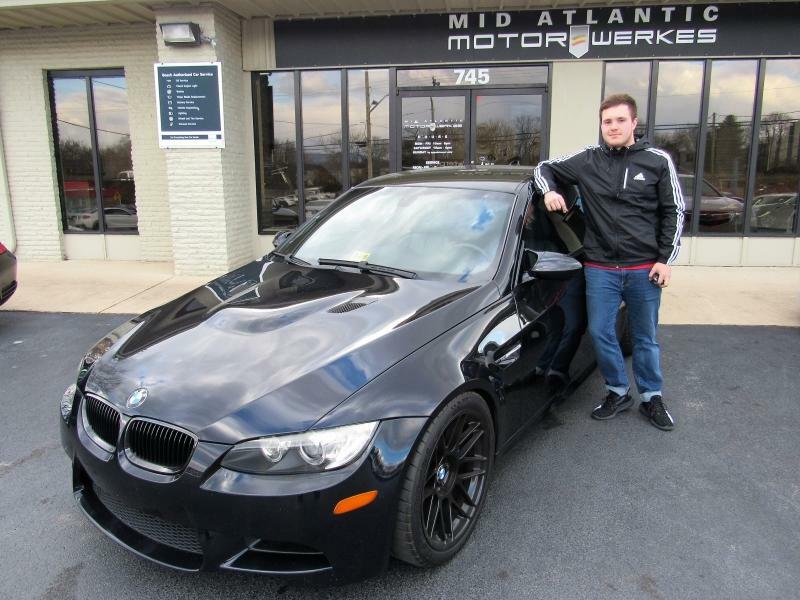 I would recommend anyone looking for a high quality BMW to consider Mid Atlantic Motorwerkes. 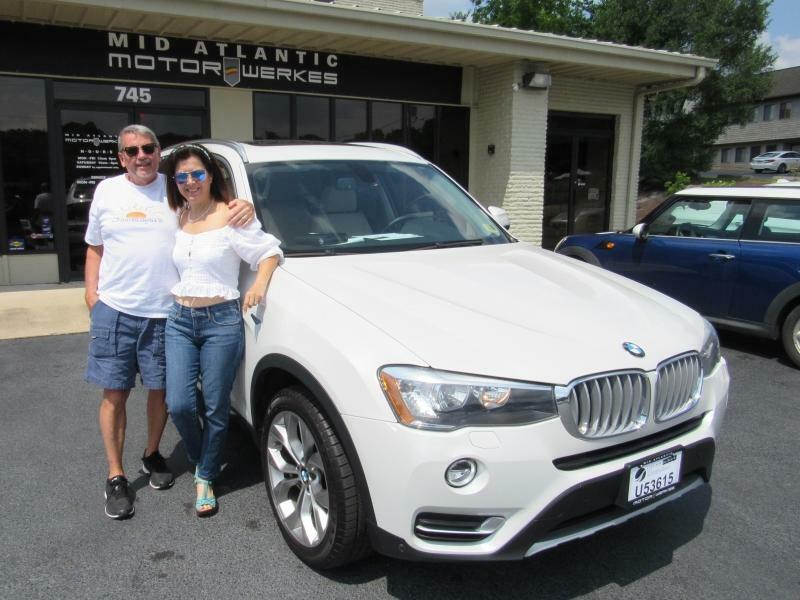 This makes the White's 2nd vehicle purchase from Mid Atlantic Motorwerkes over the years. Very pleased to do business. Drove 3.5 hours here to get a a Lexus IS250. The car is great and the employees and owner are good guys. Definitely recommend! Thanks for everything guys. 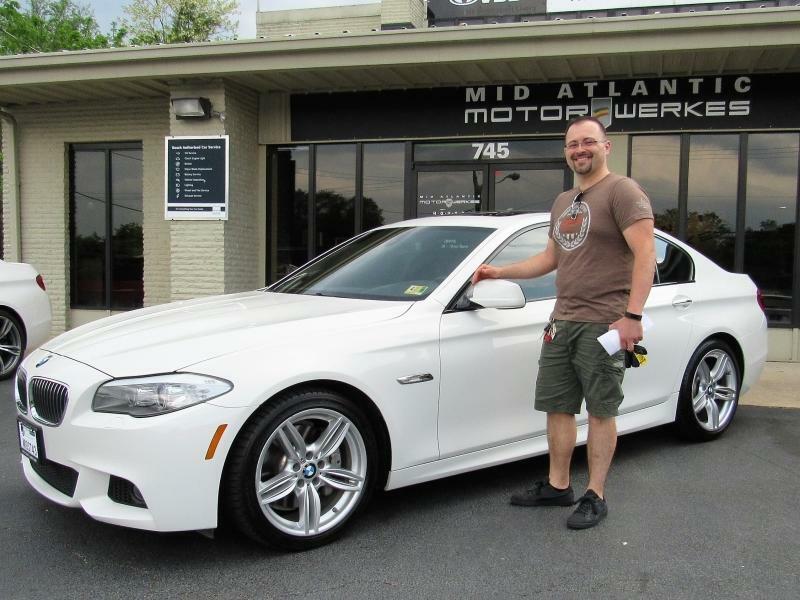 This makes Dennis's 2nd BMW purchase from Mid Atlantic Motorwerkes. 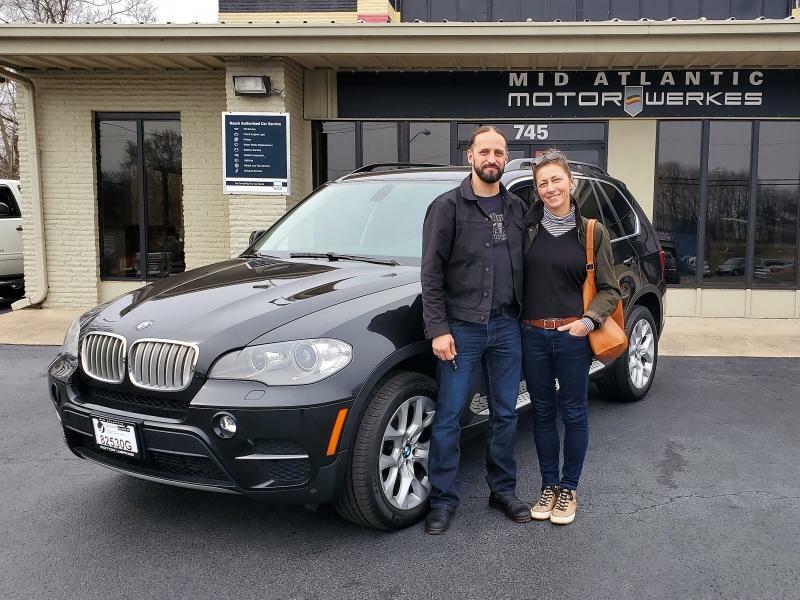 I purchased a BMW X3 from Greg last week, a few days before Christmas. 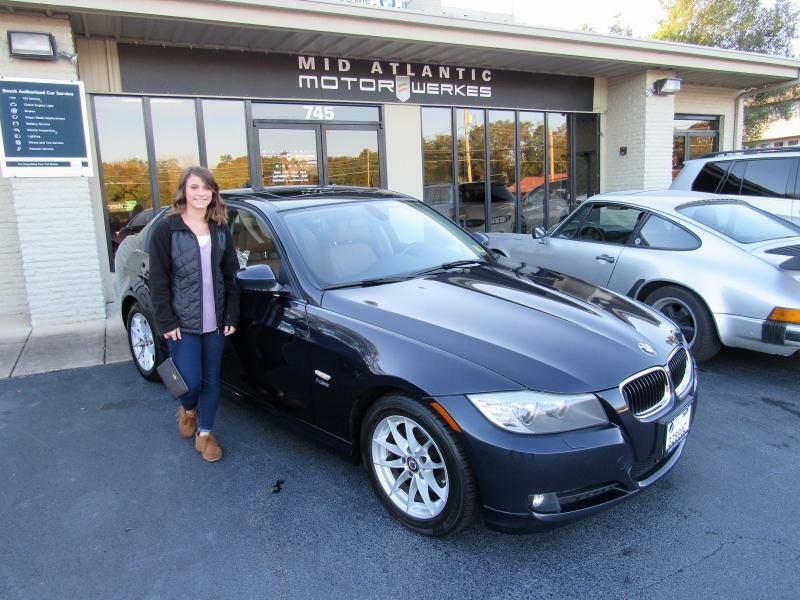 The car was conditioned as described and the transaction was smooth. Greg seemed genuine, honest and fair. 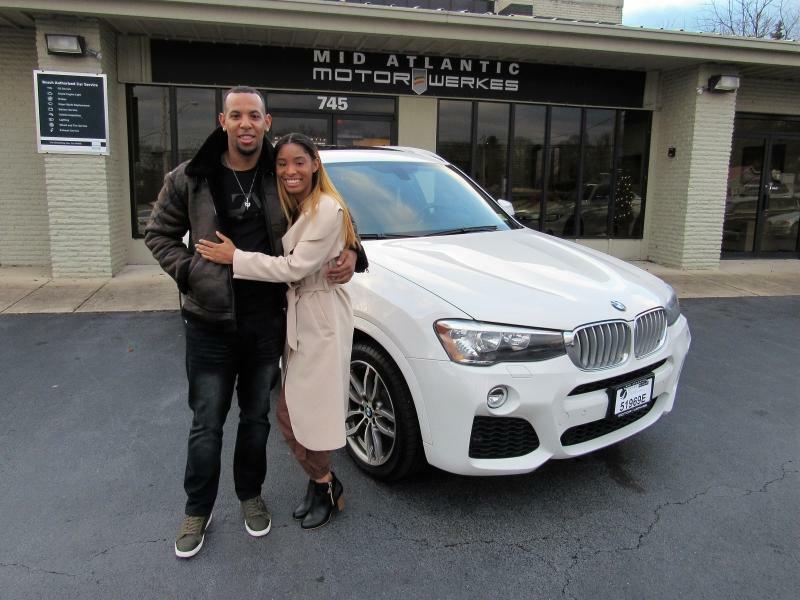 He really made an impression and brought the excitement you want when buying a new car. I rarely write reviews, but these guys deserve a 5 star rating for how they handled the pretty significant purchase. I want to thank the MAM team for once again exceeding all expectations. 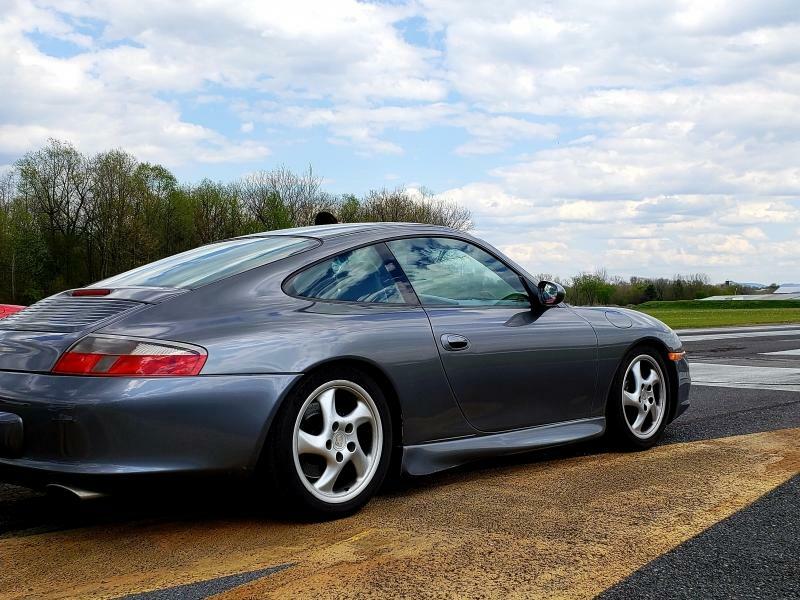 Upon deciding to add another Porsche to my garage, the first thing I did was head over to the Mid Atlantic Motorwerkes website to check out the current inventory. 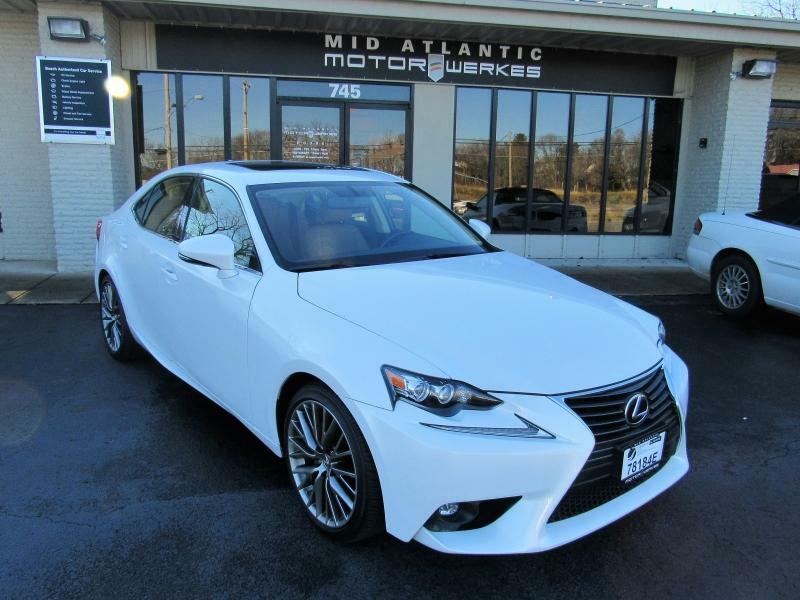 This was not by accident, and was driven by these facts that I have come to trust after many years of buying, selling, and maintaining vehicles with Mid Atlantic: 1) There is no other dealership in the country that I trust more for the reliability & quality of the used cars on their lot, 2) Every single time I visit the showroom I know that I will be welcomed with a zero pressure atmosphere, 3) 'After the sale' support is a priority and it shows, and 4) The knowledge and skill of the mechanic team is second to none for these high performance machines. I can't think of a better show of approval than two purchases in less than a year. 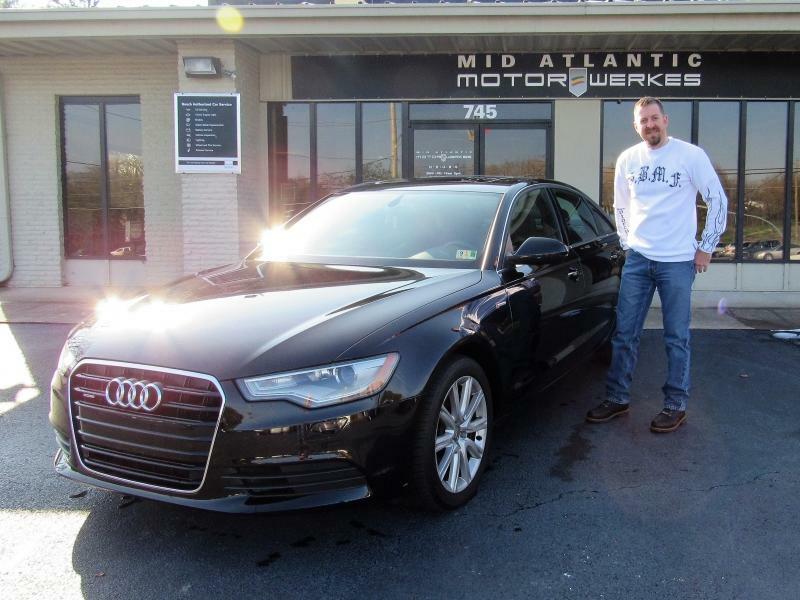 I bought my 2013 Audi A6 from Dallas at Mid Atlantic. 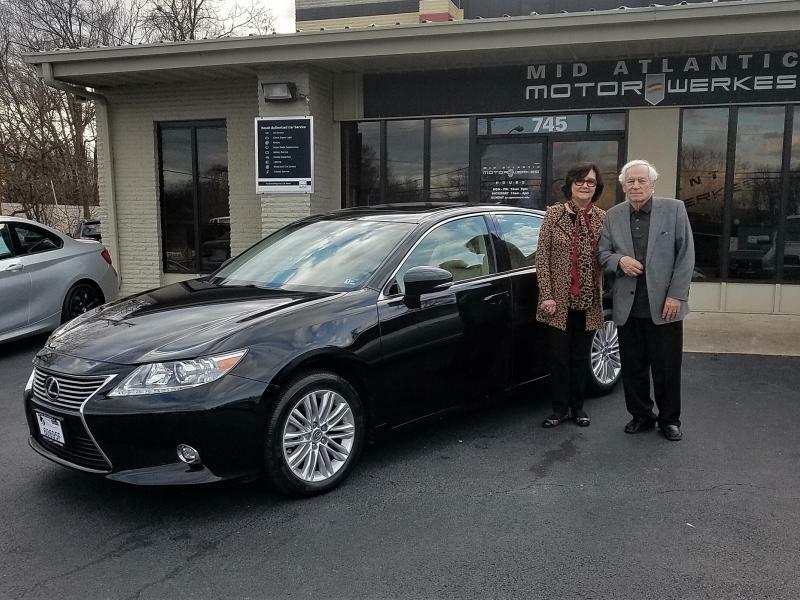 His honesty, straight forwardness and calm demeanor was a very appreciated breathe of fresh air to the car buying experience. 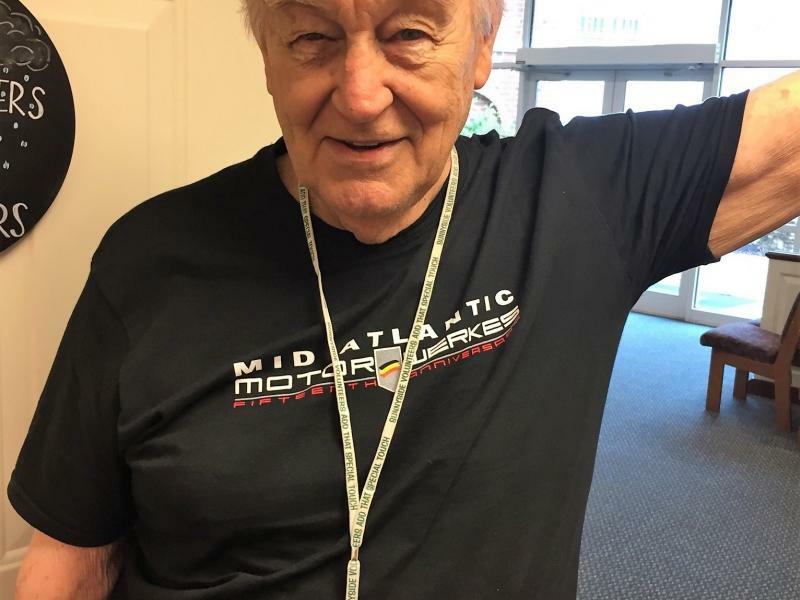 I highly recommend Mid Atlantic because of the service they provide and the way in which they provide it. 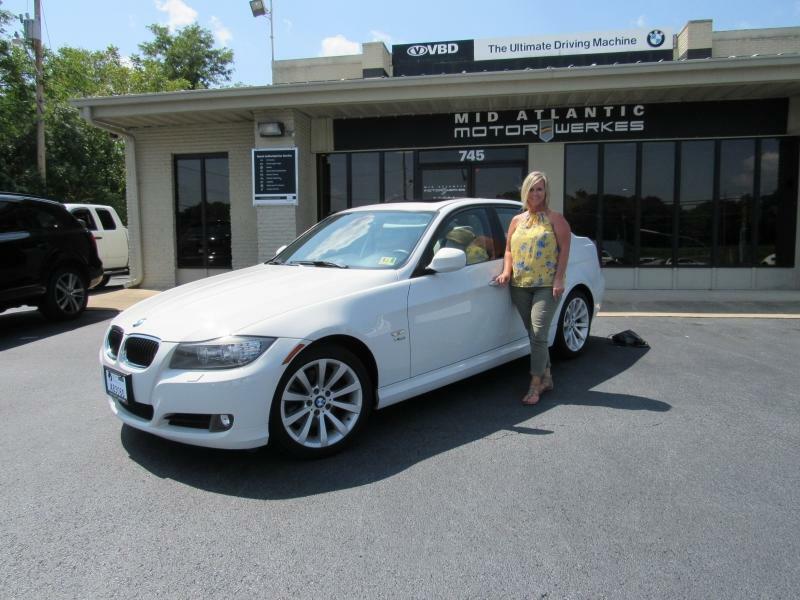 I just bought my 2010 BMW 328i from Greg at Mid Atlantic. Everyone was so helpful and kind throughout the process. In addition, the car that I bought is in pristine condition and they even detailed it for me before I took it home. I highly recommend this dealership because they only sell good cars, you will not come home with a piece of junk like some of the other dealerships. After the great customer service I received yesterday, I will never buy a car from any where else. 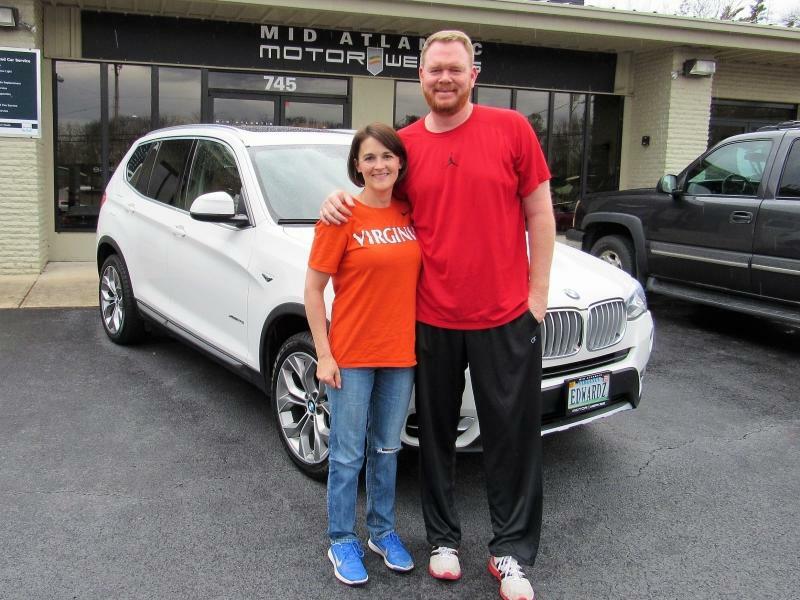 Tony was drafted to the Los Angeles Lakers in the 1990 NBA draft (Round: 2 / Pick: 51) Enjoy the 7series ///M Sport, it was a pleasure doing business with you. This is Michael's 2nd purchase from MAM. 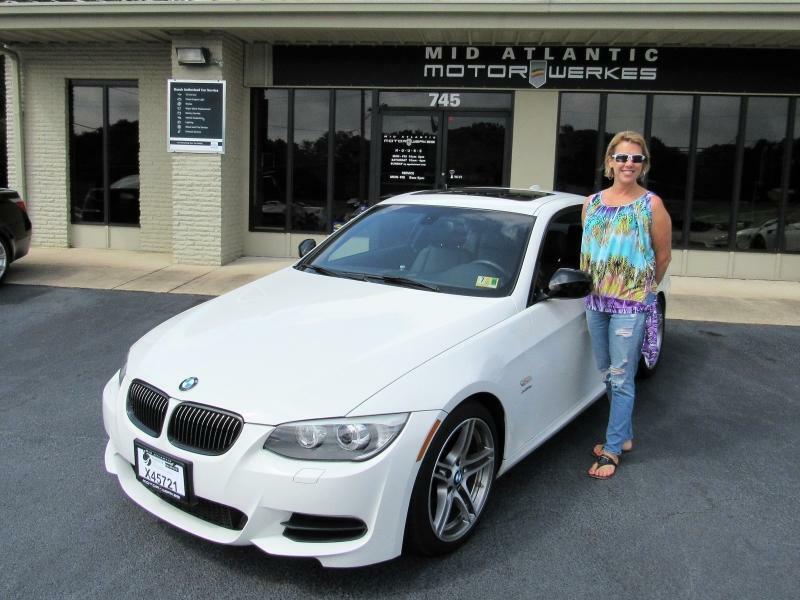 This is Antionette's 2nd BMW purchase from MAM. 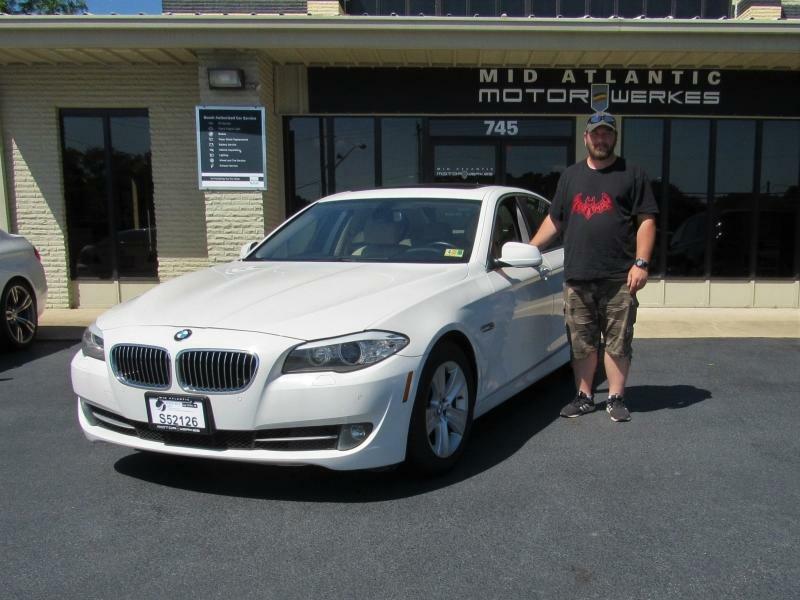 Greg & his staff at Mid Atlantic Motorwerks made our purchase seamless. The entire staff were professional, polite, and very easy to deal with. 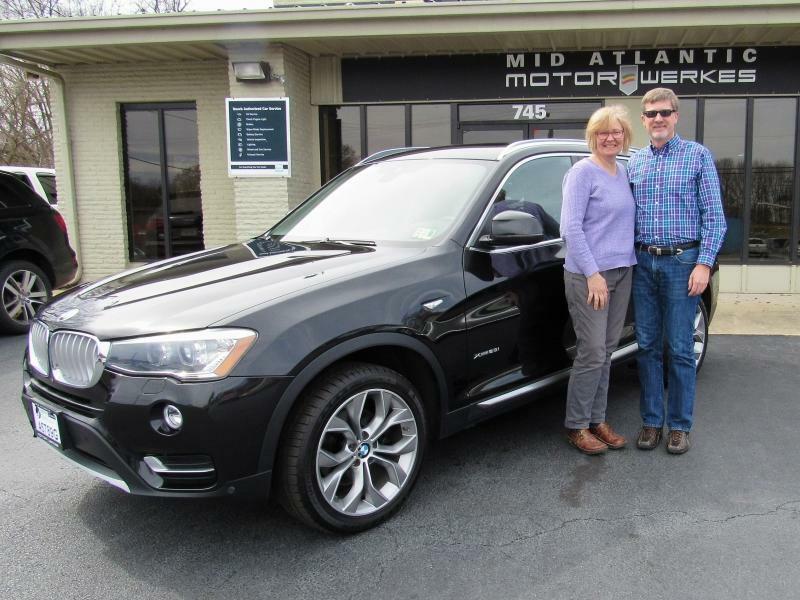 Extremely knowledgeable with the vehicle specs and also with the vehicles past history, which meant a lot to us. 8 hours to pick it up. 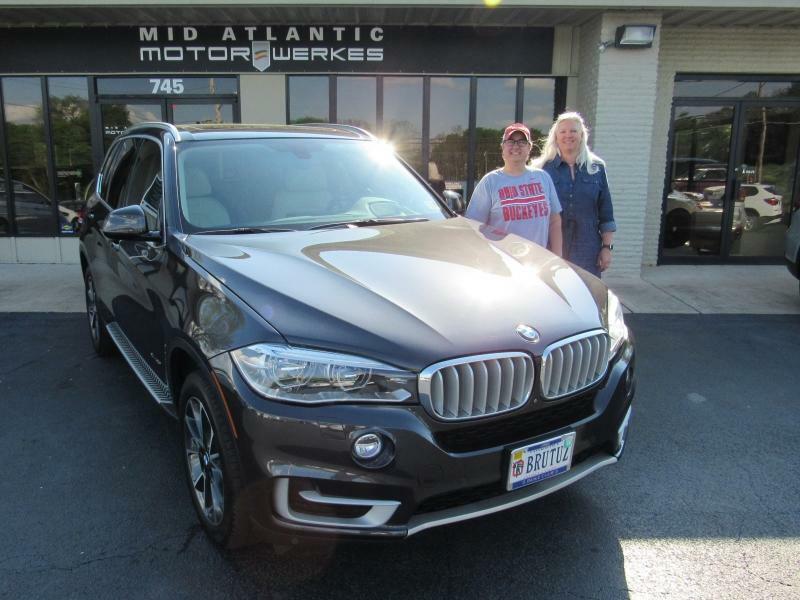 I have already recommended Mid Atlantic Motorwerkes to friends and family and will absolutely use them again for another purchase. Very impressed with the quality of the inventory of the vehicles on his lot. 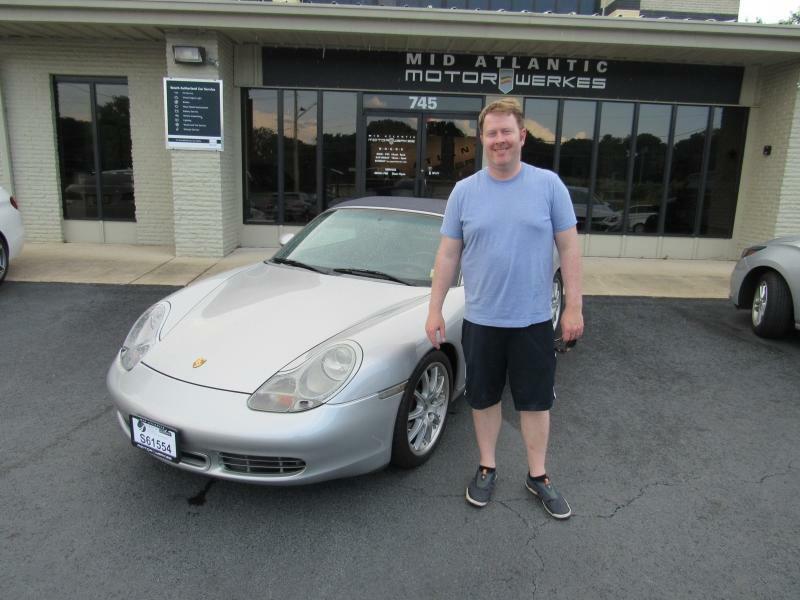 Searching for a pre-owned Porsche, a great specimen of a Cayman S appeared in my results, located at Mid Atlantic Motor Werkes. I live about an hour away, but decided to make the drive. The car was super clean, exactly as described. 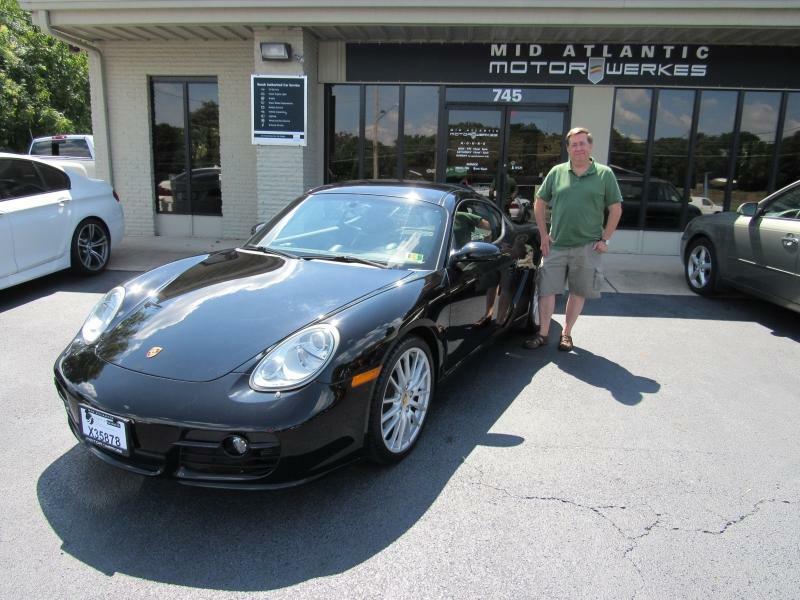 As I was looking at the Cayman, Greg explained how he goes about selecting cars to place on his lot. That was actually going to be my first question to him, and it was answered before I had the chance to ask. 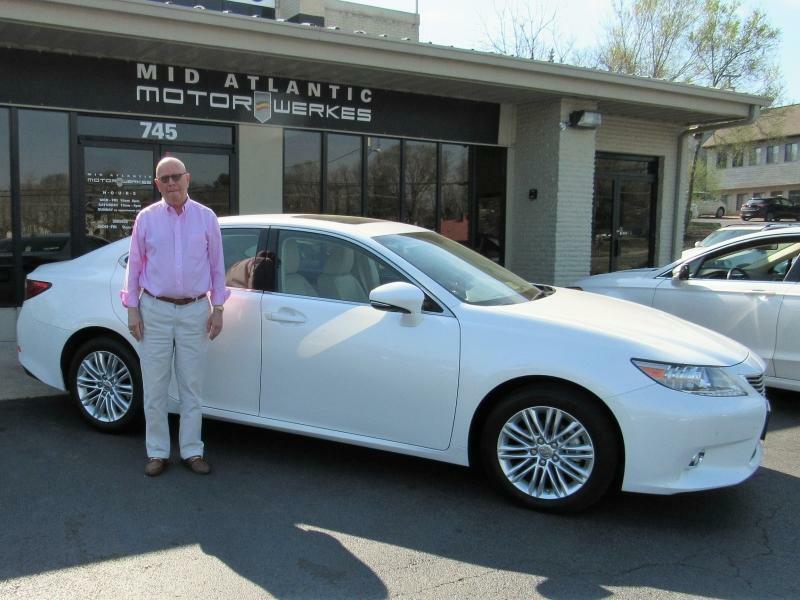 Greg and crew are passionate and knowledgeable about the cars they sell and service. I asked for a tour of the shop, and liked what I saw. This is definitely a boutique experience. After having the car in my possession for over a week now, I've had no surprises. Exactly what it says on the tin. 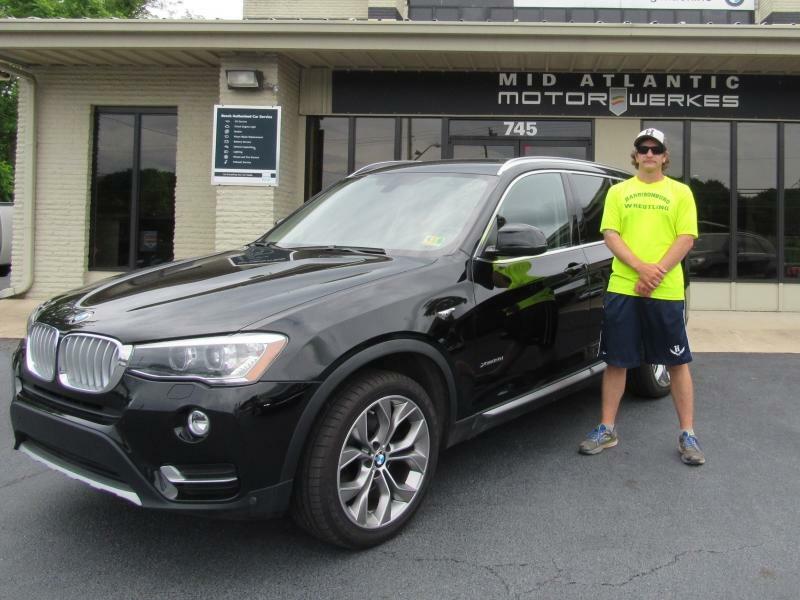 This makes Kevin's 4th BMW purchase from MAM! 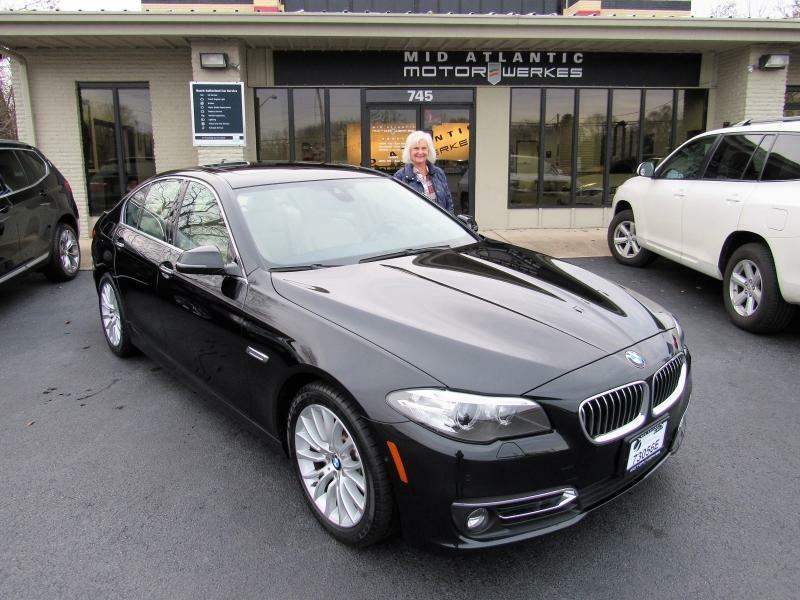 If you're in the market for a BMW save yourself a lot of time and hassle and buy from MAM. Their inventory consists of vehicles in excellent condition only. This allows confidence to purchase a pre-owned vehicle without fear of falling into a money pit of repairs. No high pressure sales tactics. MAM cares about repeat business, relationships, and reputation. 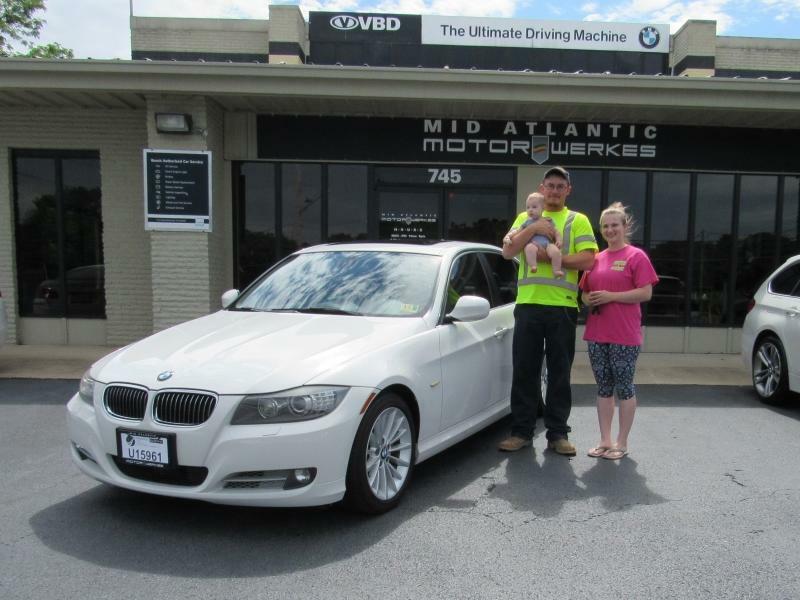 I actually work for Honda automobile manufacturing in Indiana and I chose to drive to Harrisonburg, VA for my BMW!! 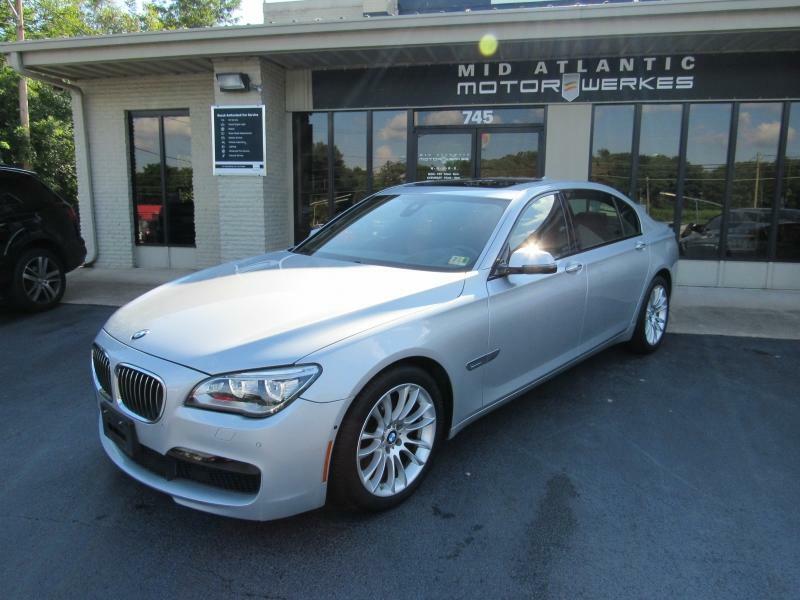 This is the 2nd car I have purchased from Mid Atlantic Motorwerkes and it will NOT be my last. 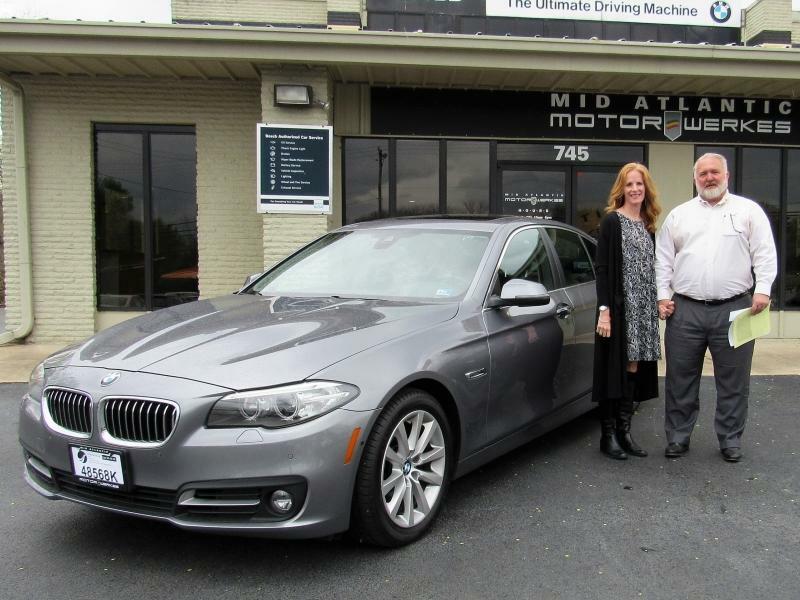 They are the most professional and knowledgeable staff in the Valley and make the car buying process extremely easy and low stress. Their customer service is top notch. I’ve also been using their service department for years and can’t say enough good things about them. Again, the service staff provides fantastic customer service, are very professional and knowledgeable. 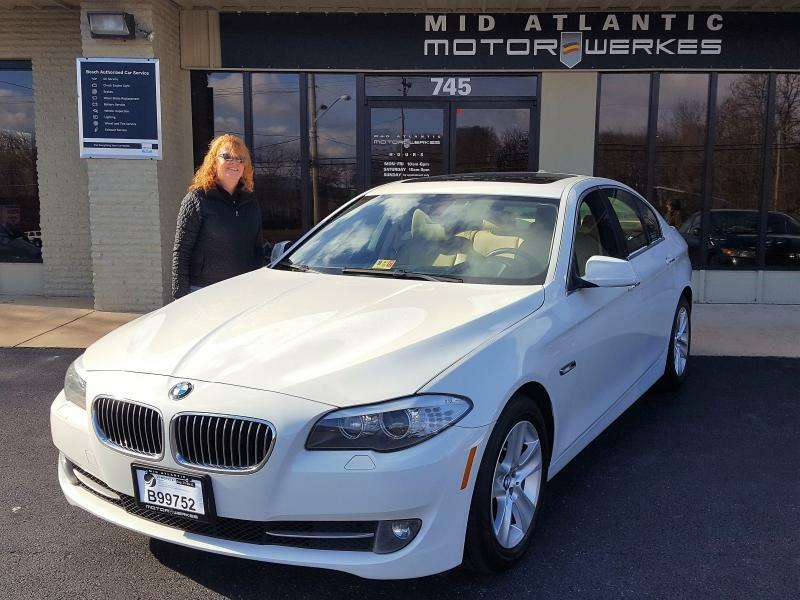 If you are looking for a great car buying experience, look no further than Mid Atlantic Motorwerkes! 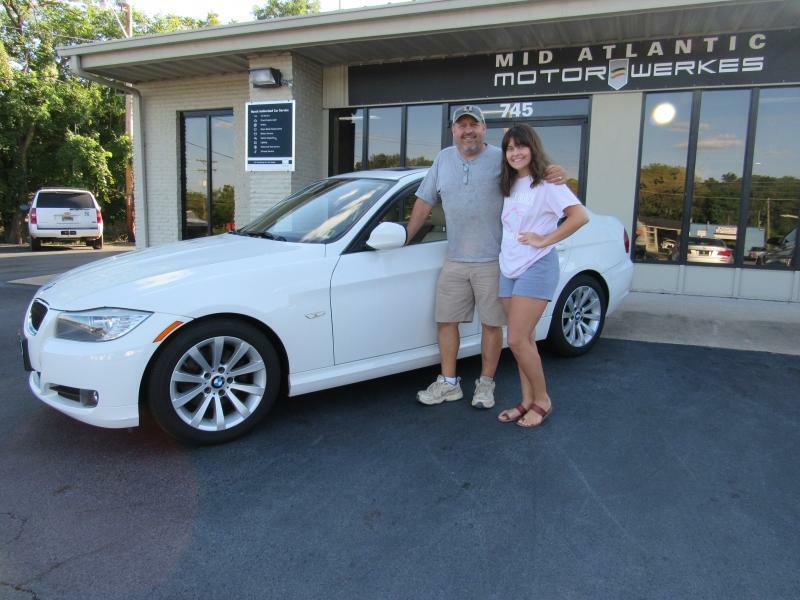 BMW purchase #6 for the Carico family! I've known Greg for over 10 years. Greg's business has been successful in my opinion, because he's a car "analyst". He spends many hours looking for the right car, not necessarily the cheapest, before he brings one on the lot to sell. 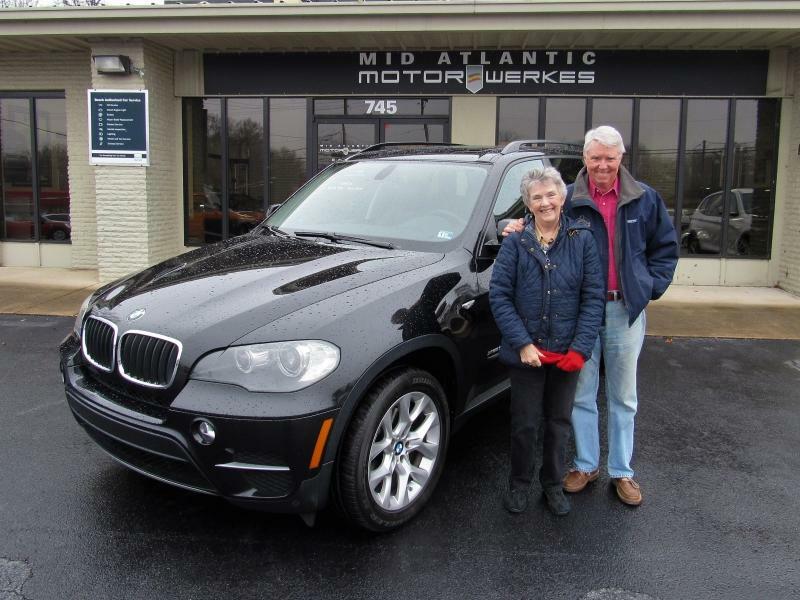 Result -- happy car buyers, and repeat customers. And Greg will locate the car you want if you give him time. His service manager, Jason, is top notch technician. I feel comfortable leaving my car for service. Dallas is the efficient "paper work" guy and holds everything together. I'm proud to recommend MAM to my friends. This makes the Trobaugh's 2nd purchase through Motorwerkes. Greg and his team have been very professional and responsive. They went above and beyond to help out during the sales process. I'm loving the Porsche and considering the Guards Red RUF in the showroom!! Thanks for everything guys. 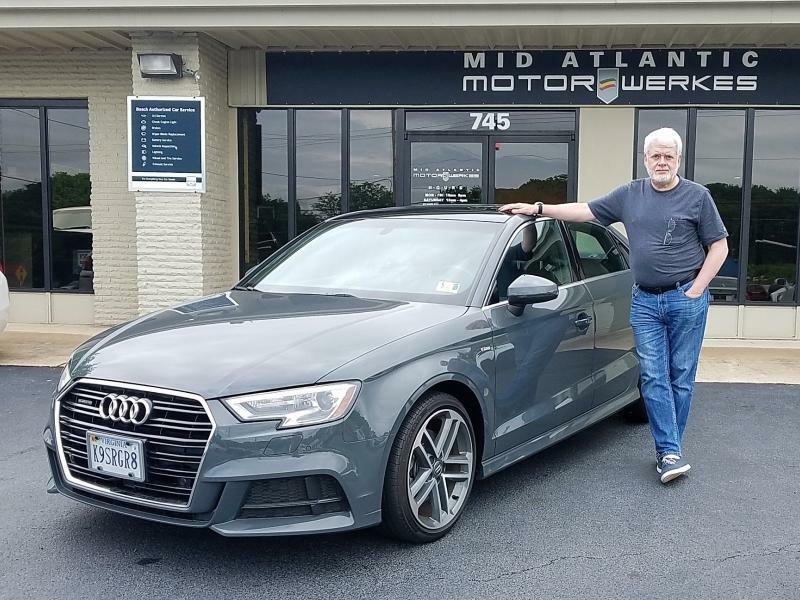 Greg, I am delighted to have acquired my 2017 Audi A3 from Mid Atlantic Motor Werkes. The car is in pristine condition. The transaction was friendly but professional start to finish. Purchase price and trade-in allowance were more than fair. 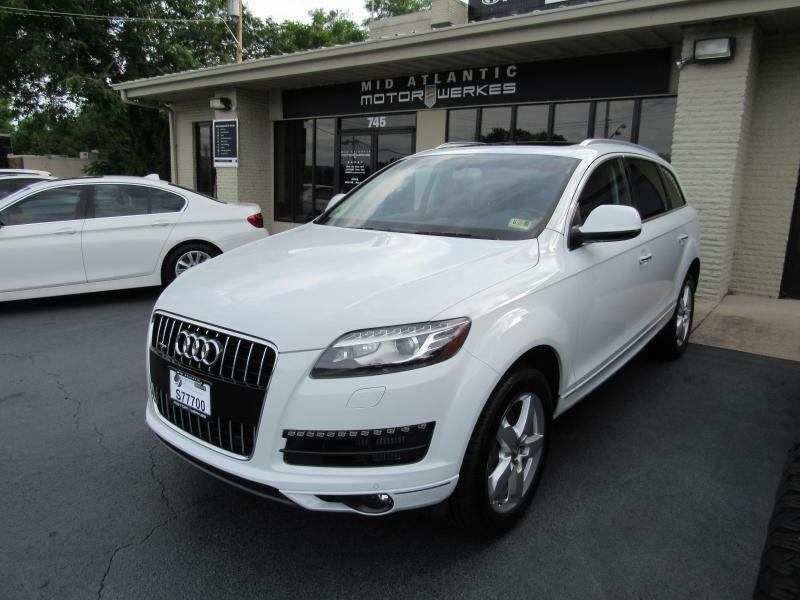 Certainly I will recommend Mid Atlantic to anyone seeking a good deal on a special car. It's worth the trip from Charlottesville for sure. A fun way to spend a Saturday w/ clients at Dynamic Aviation air strip with several exotic cars taking the speed challenge down the runway. MAM is great! 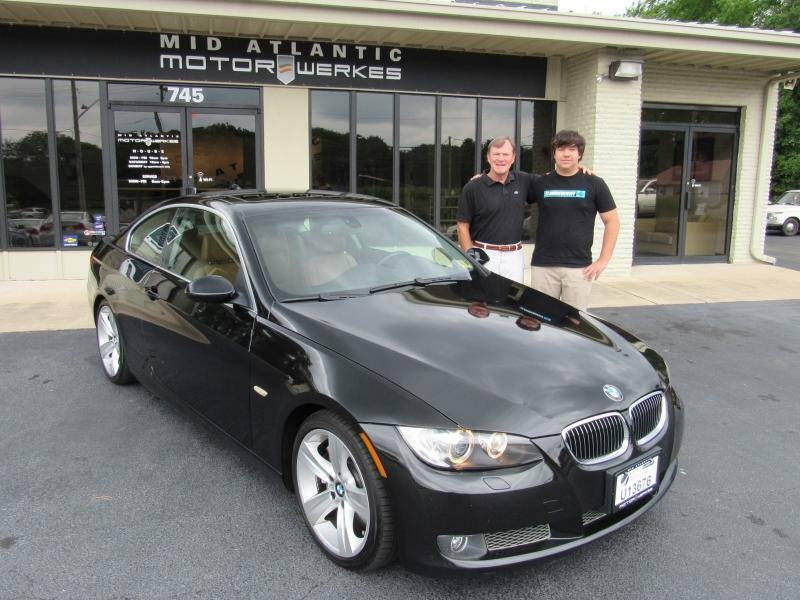 Greg and Dallas made the whole transaction seamless, from my initial interest in the car until driving it home! And it helps that they are car guys too! 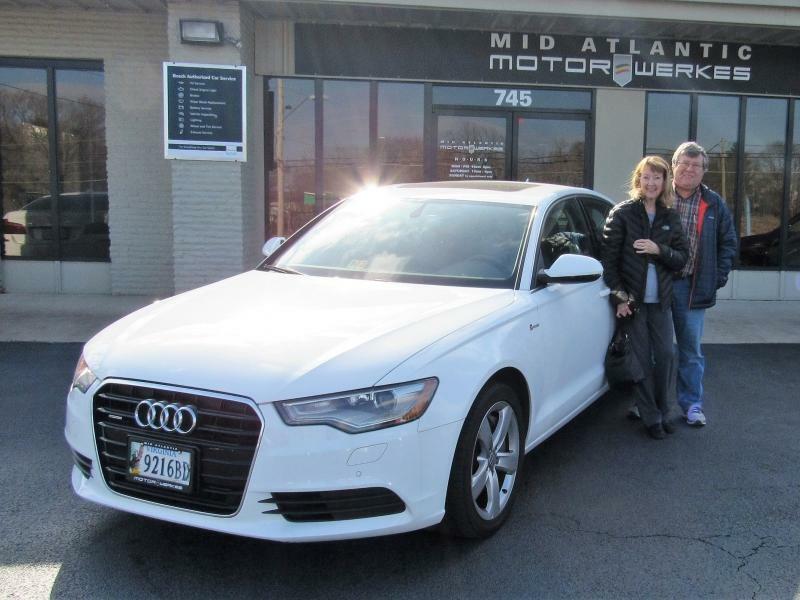 Great people, great car, great deal...one happy camper here! 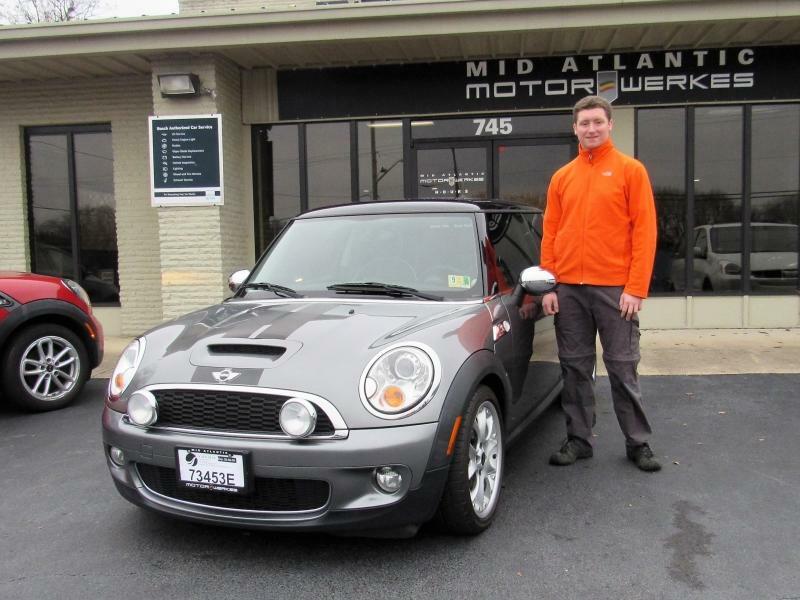 This may be the first, but it's definitely not the last time that I will purchase from Mid Atlantic Motorwerkes. Thanks guys! 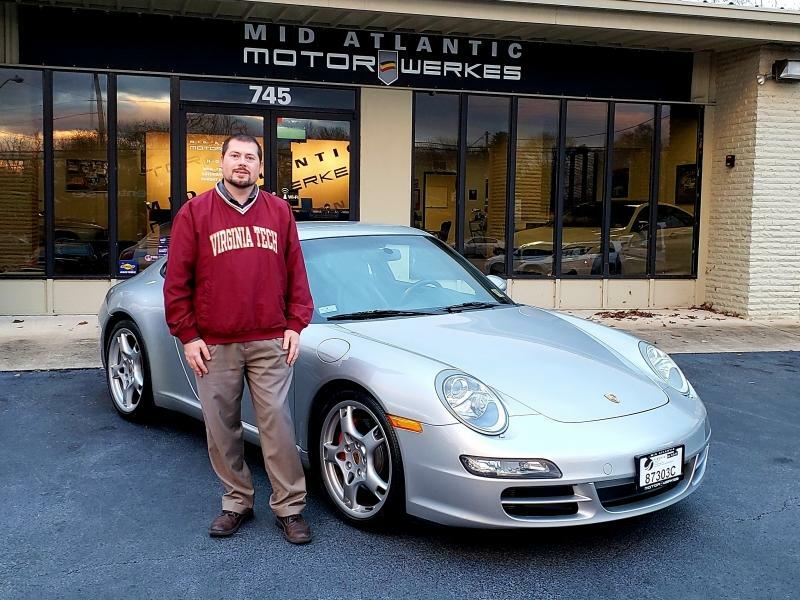 I have been enjoying working with Mid Atlantic Motorwerkes for over 10 years now. They have provided an above and beyond buying experience which has kept me coming back for multiple purchases. Every time I visit their show room they make made me feel right at home with a casual yet very professional atmosphere. This extends beyond just the sales team and to the service team who is second to none with their expertise servicing these very sophisticated machines. That being said, I would like to send a huge thank you to the entire MAM team with my recent purchase. The buying experience with this car was incredible. 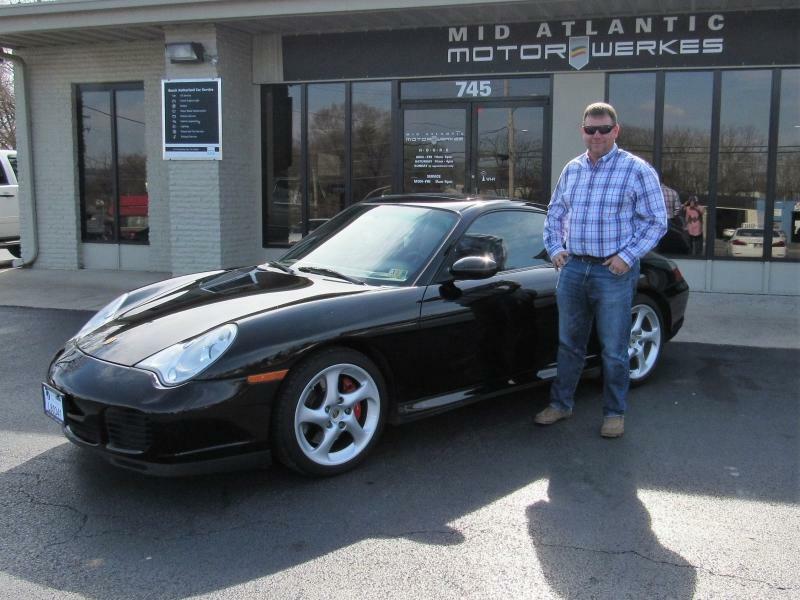 I had the pleasure of working with Greg for this sale, who’s enthusiasm for this car matched my own. We discussed features, equipped options, mechanics, technologies, and most importantly performance . After seeing this car first hand and being supported with a wealth of knowledge from Greg, I knew this was the one for me. 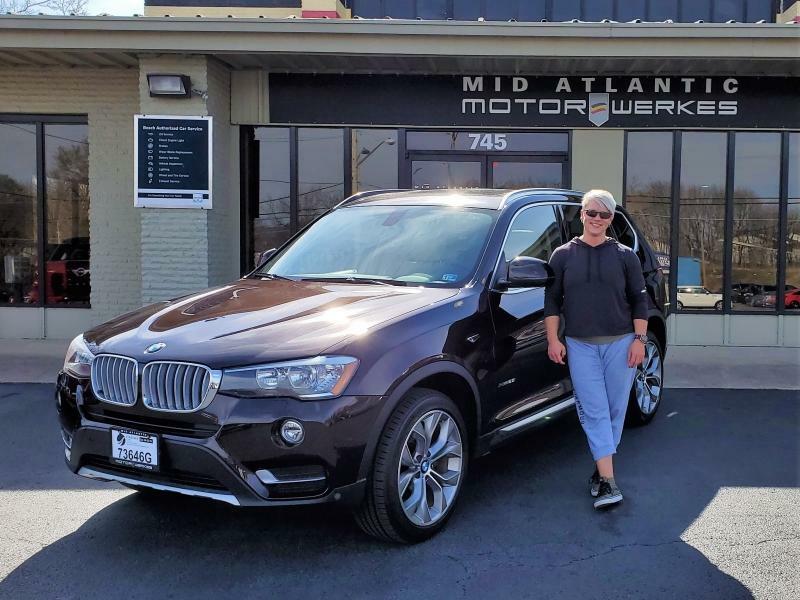 Just like every purchase over the years, the buying experience did not stop once I drove off the lot. 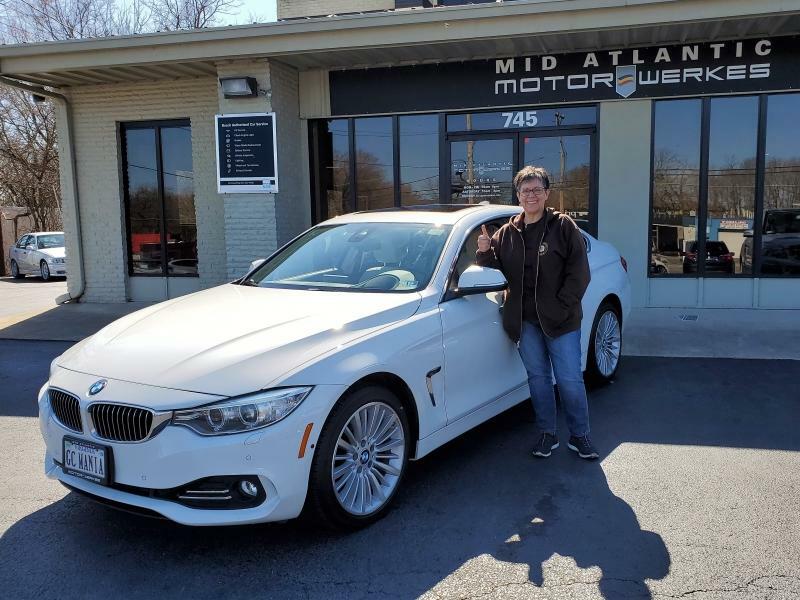 Later that same evening, I was greeted with a follow up email from Greg checking in to make sure I was completely satisfied with the vehicle and that I was “thrilled beyond belief driving it home”. Needless to say, I will definitely be coming back when the time comes for another purchase. This dealership is top notch! Why go anywhere else? That’s what I would say to you after our experience(s) at Mid Atlantic Motorwerkes. 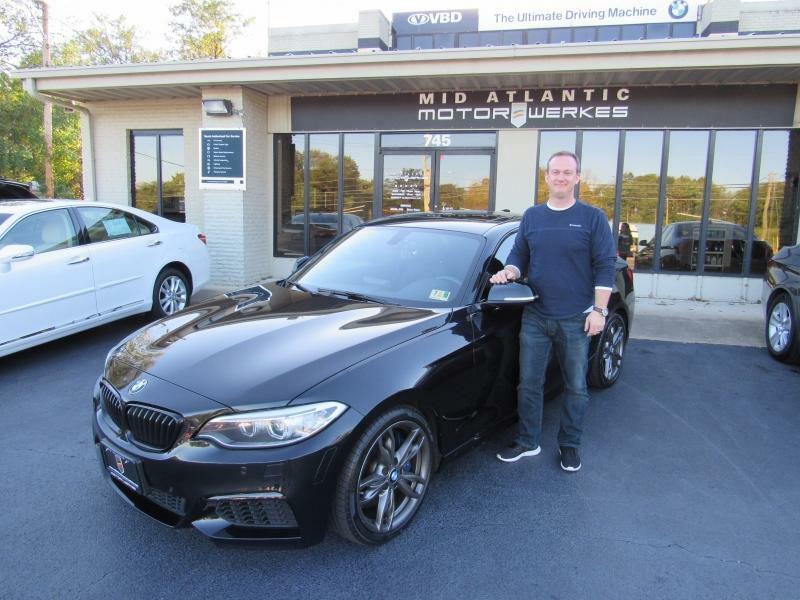 From the start, Greg and his staff worked tirelessly to make our car buying experience a great one. Transparent, family-like, great service, honest, expertise are only a few words of many I use to describe this dealership. Did I mention that this is car number 5 we have purchased from them? Greg went above and beyond to make sure we purchased the vehicle we were most comfortable with. He gave us suggestions and his advice, but was in no way pushy what-so-ever. 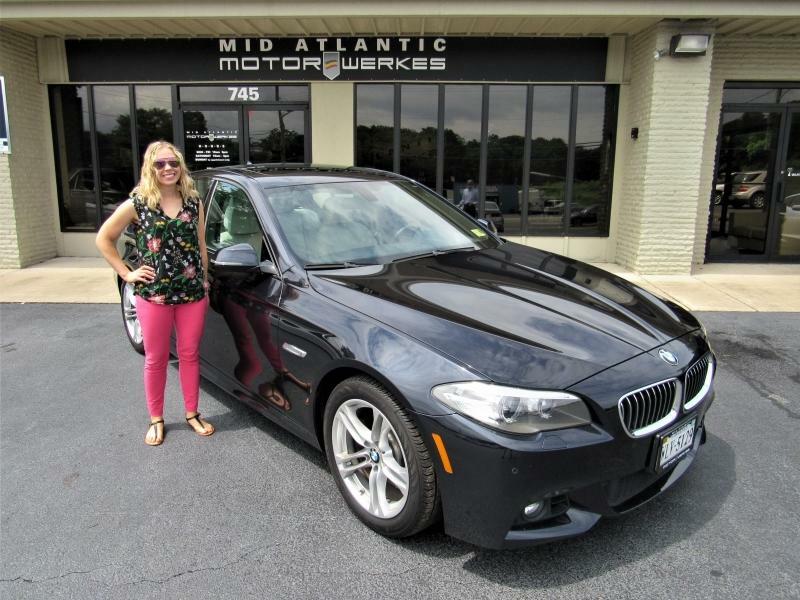 After we decided on a car the process was absolutely painless. So quick and professional. Dallas made sure of that. I always feel like family during the whole process! 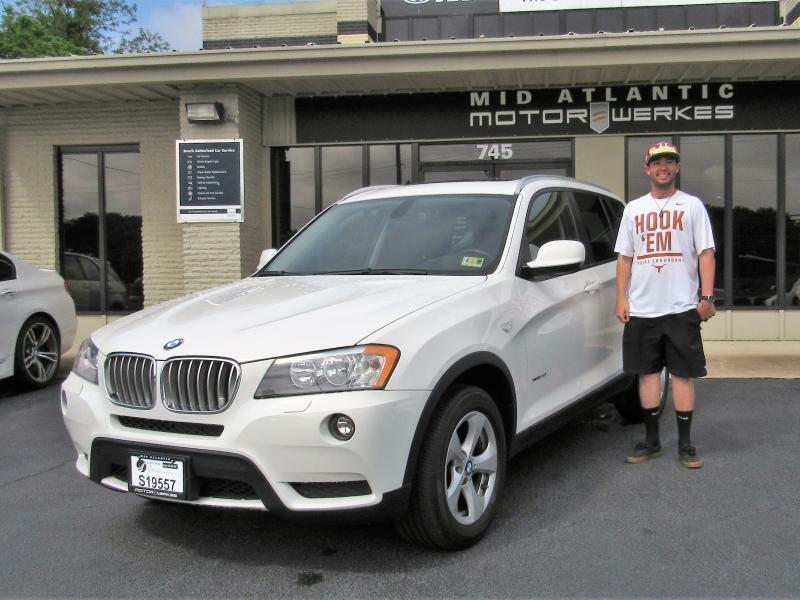 I would recommend Greg and his staff to anyone who is looking for that perfect vehicle. 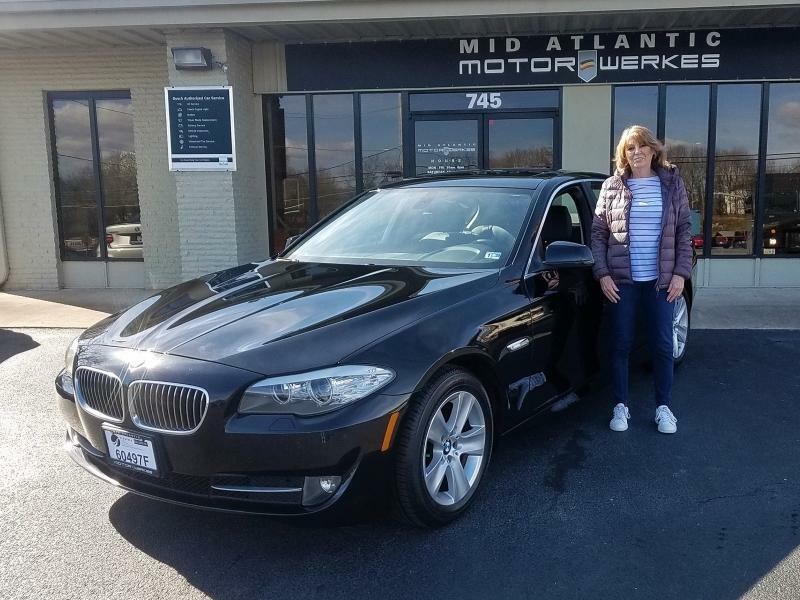 "We want to thank you for a great buying experience and making it well worth the two-and-a-half-hour drive to Mid Atlantic Motorwerkes. 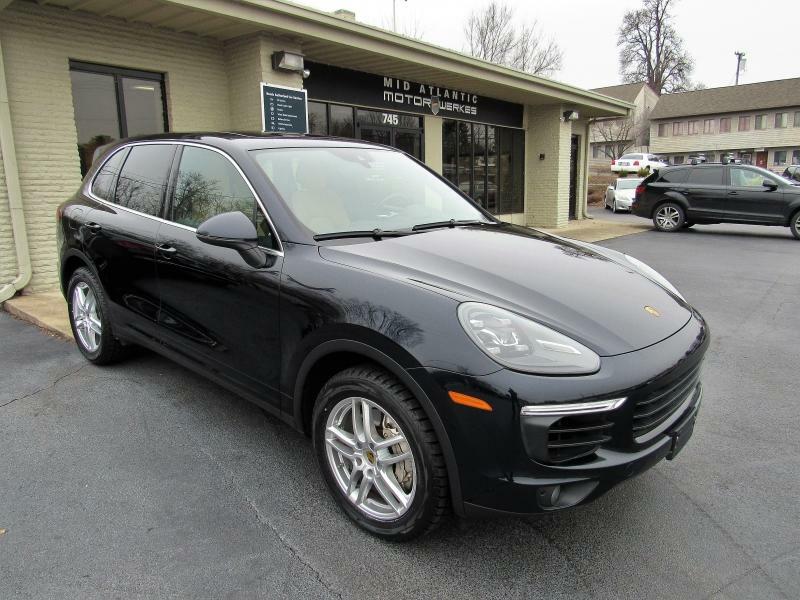 We were very impressed by the quality of vehicles available and your reputation precedes you with your diligence in locating and selling only the finest used luxury vehicles. 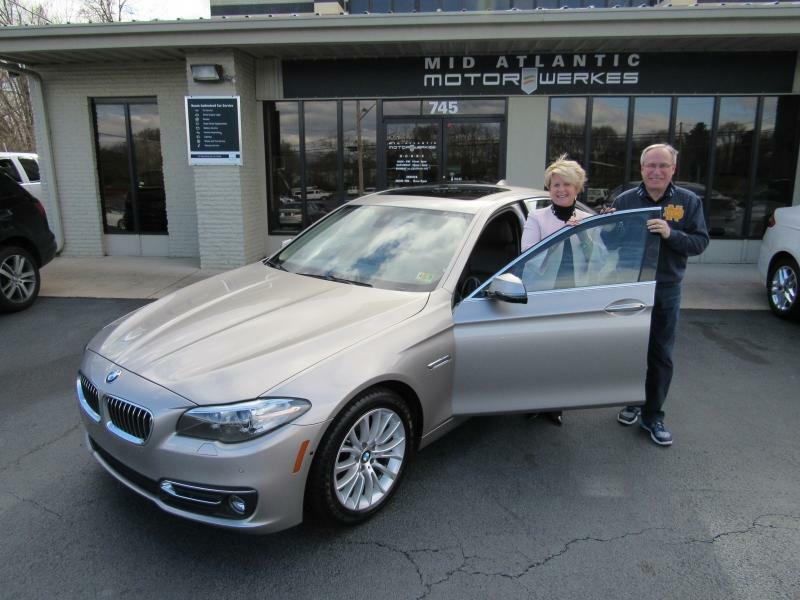 Mid Atlantic Motorwerkes will be THE only place we go for a future purchase of another luxury vehicle. 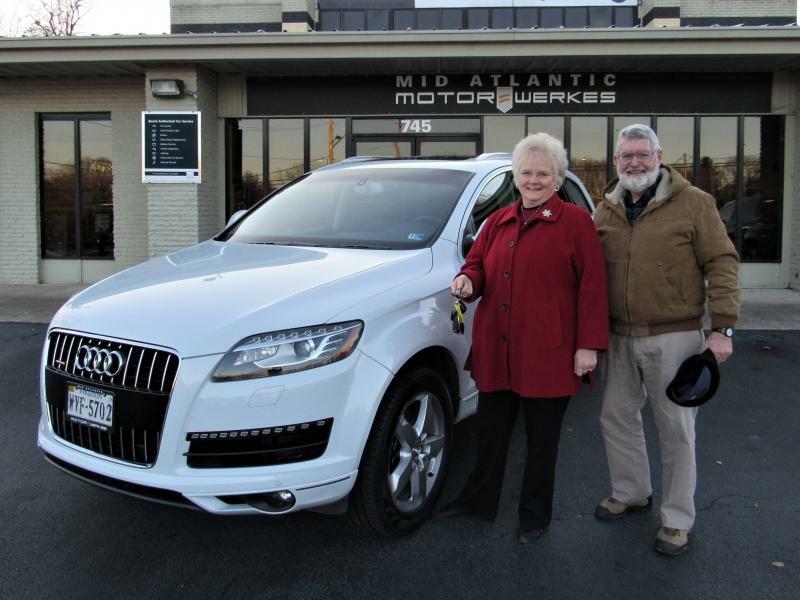 We are so pleased with the vehicle and the professionalism of your dealership." 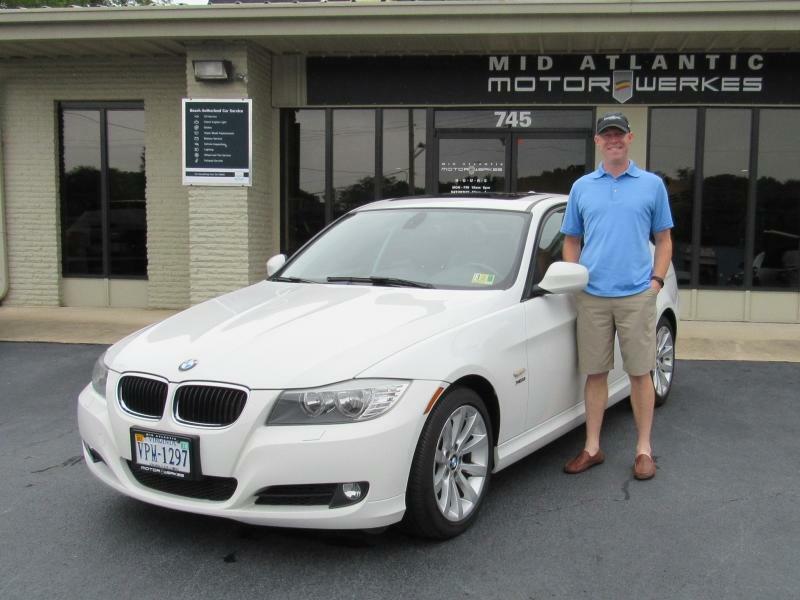 2nd BMW purchase from Motorwerkes. 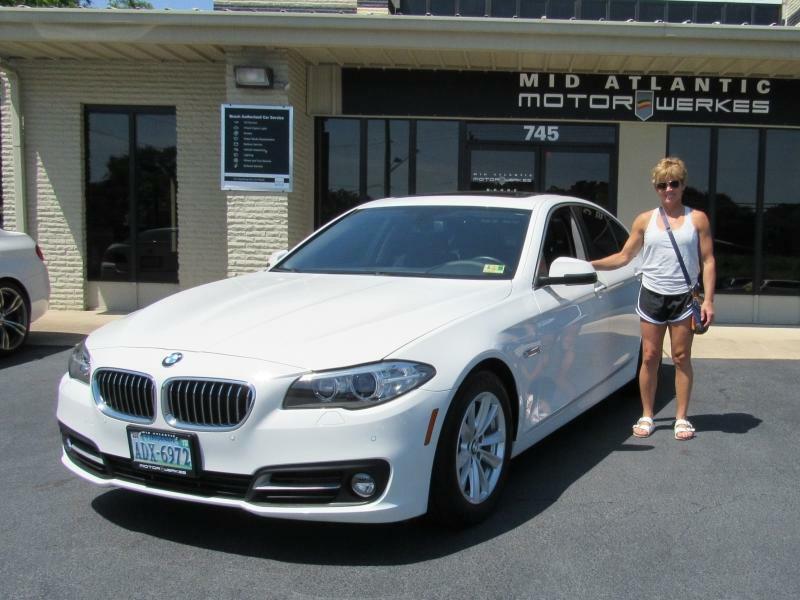 This is the Sundre's 4th BMW purchase from Motorwerkes. 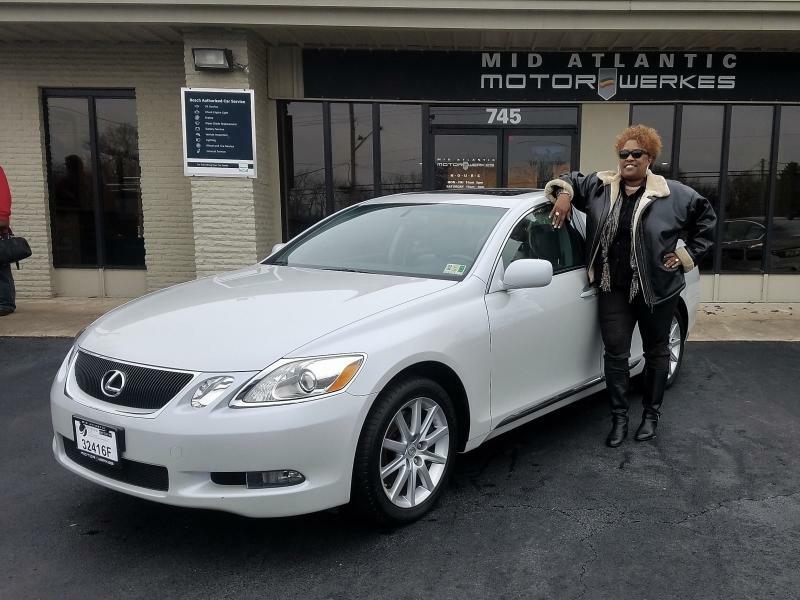 Thanks to Dallas, I was able to get 99% of this deal done over phone and email and when I showed up to pick up the Lexus, it was ready to go and exactly as described. The final 1% of the deal was wrapping up the paperwork, which took a whopping 5 minutes!! Next time a purchase is needed, you guys will be the 1st place I turn. Keep up the great work. I have been a motorcycle rider for over 30 years and the time came to sell the one I had and replace it with a vehicle that more of my family could enjoy; not just me. 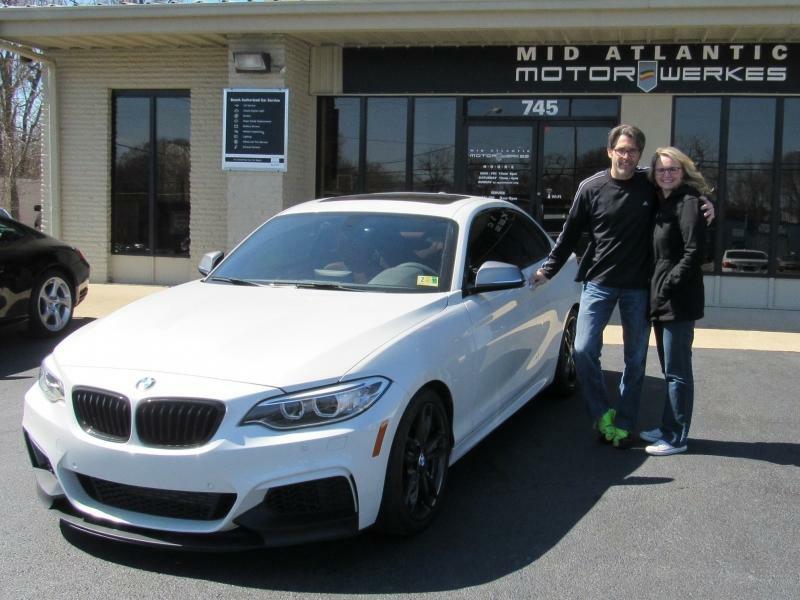 Through my research and test drives, we settled on BMW. 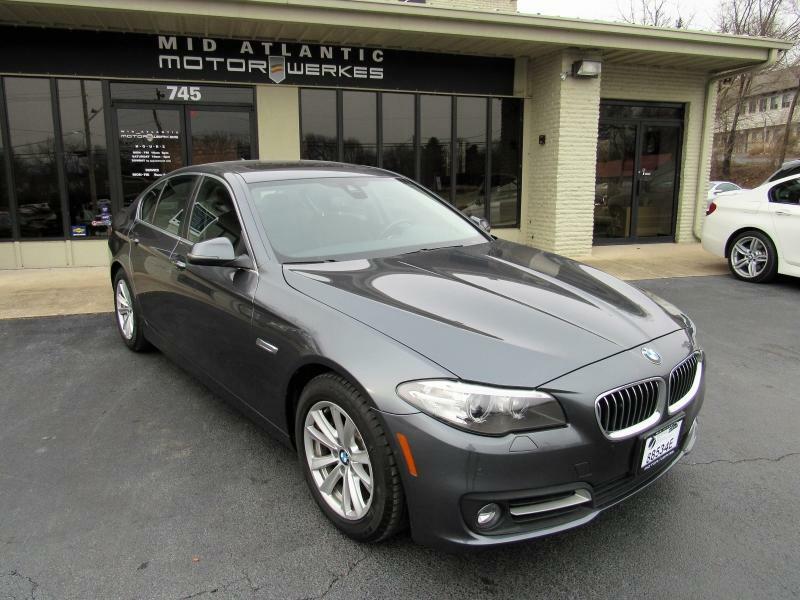 Then continued to narrow our search through all the BMW models down to the 235i. For the next 2 to 3 months we did nothing but search through Autotrader, Cars.com, Craigslist, etc searching for the car that fit all the parameters. My spreadsheet continued to get larger the more cars I found; however, not one of them fit everything my wife and I were looking for. 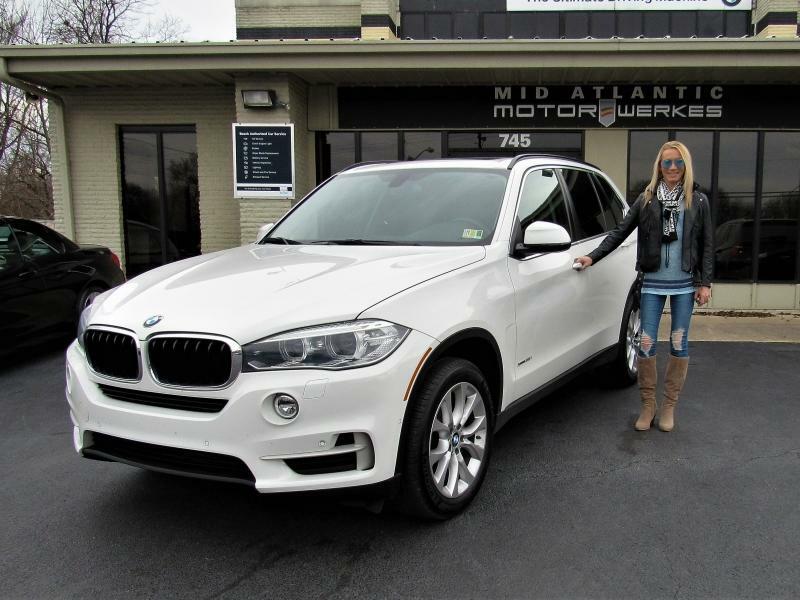 In our stereotypical way, she liked all the technology – back up camera, auto adjust seats combined with heat…cause it gets cold in Nashville? I wanted manual shift, plus solid loud-punching sound. I called Greg and left a message, to my surprise he called me back that night and proceeded to spend a considerable amount of time with me on the phone answering all my questions. I am a BMW rookie and only had book knowledge of what I thought I wanted. 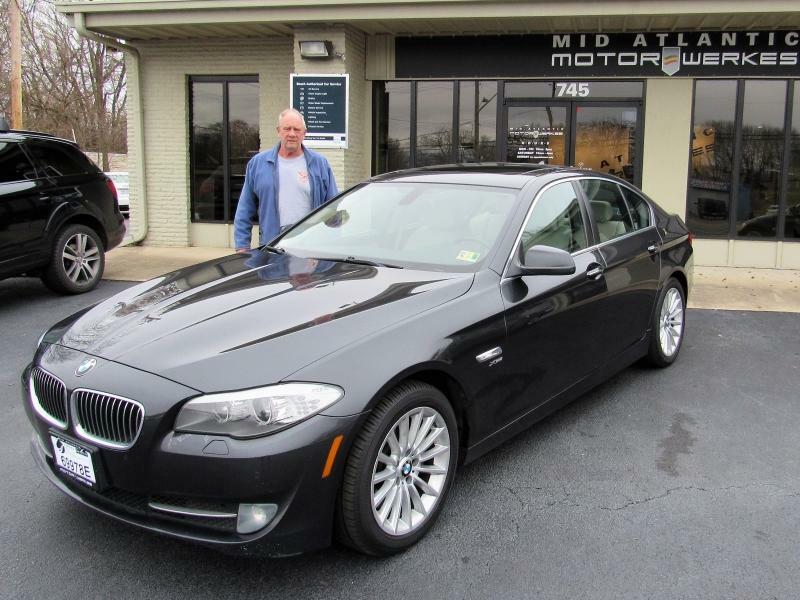 Greg described the car to me and the calm, non-pressure feeling of his delivery was spot on (1 point dealership). The more we talked, the more I wanted to like this dealership. At the end of the phone call, we made plans for me to drive over and look at the car. If everything was the way Greg said it was, I would purchase and be on my way home. However, in my head business is business and I could not make the trip for another week. Additionally, this is the first introduction for me to this dealership; still a bit skeptical on my side. My schedule put Greg at a disadvantage of “holding” the car in case he would miss an opportunity during the week I was traveling. However, he assured me he would not sell the car until I had time to come over. The trip from Nashville to Harrisonburg, VA is an 8 hour trip. If I was willing to commit to the drive he was willing to wait. I can tell you Greg’s integrity is everything you would hope for in a business owner (another point, dealership). Next issue – life. Greg was going out of town for spring break and would not be there the day I was scheduled to arrive. No issue, he placed in contact with Dallas, who from the start introduced himself professionally and took the handoff from Greg never missing a beat. He talked me through what I should expect the day I arrive. We talked through my trip and how we were thinking to rent a car instead of driving two cars. Enterprise was a perfect fit as there was one literally right across the street. The day we arrived, all the paperwork was done ahead of time (another point, dealership). Dallas respected my request and left the car cold so I could become familiar with the car from a cold start all the way through a few hours of test driving, looking, my wife test driving. There was no rush, no hurry…I could take as long as I wanted or as short as I wanted. Dallas gave me the sense he was onmy time table, not the other way around. His paperwork was already completed, so it was up to me and I loved that (another point). The car was perfect…exactly what Greg had described to me the week before on the phone. When the time came to finalize the purchase, we stepped into the showroom, signed a few lines and we were on our way. The staff is incredible and I truly enjoyed this buying experience. I wholeheartedly believe if every dealership treated their customers this way and had the philosophy about buying a car that Greg and Dallas do, the car industry would change forever. 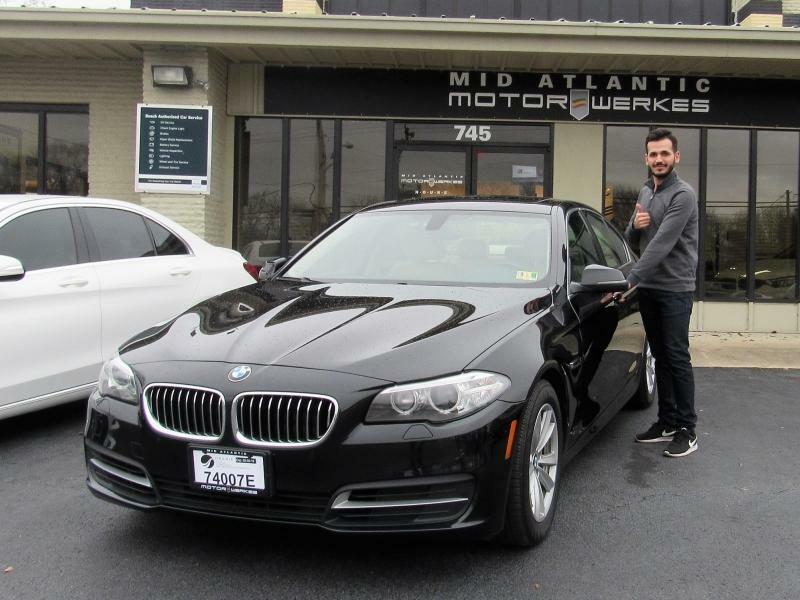 My experience with Mid Atlantic Motorwerkes was great! 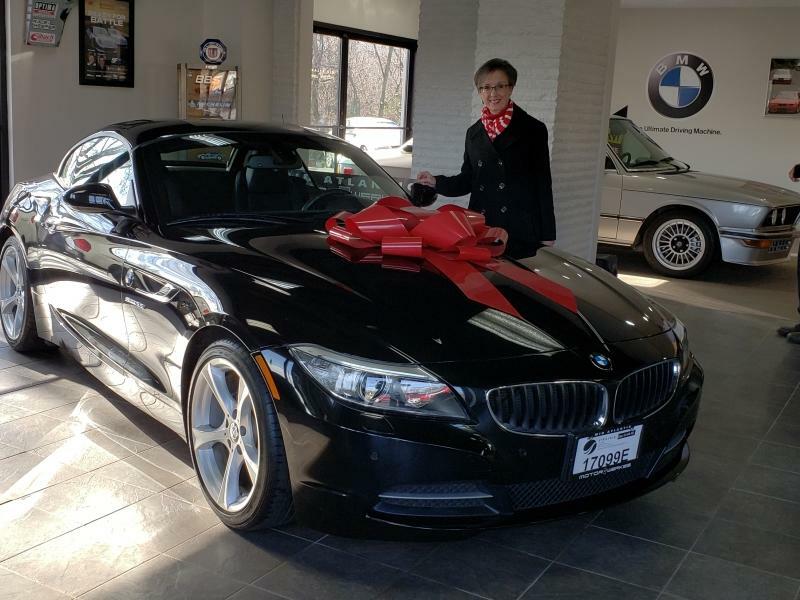 This was a big surprise for my husband’s 50th birthday and Greg was extremely helpful in finding just the right car for him. 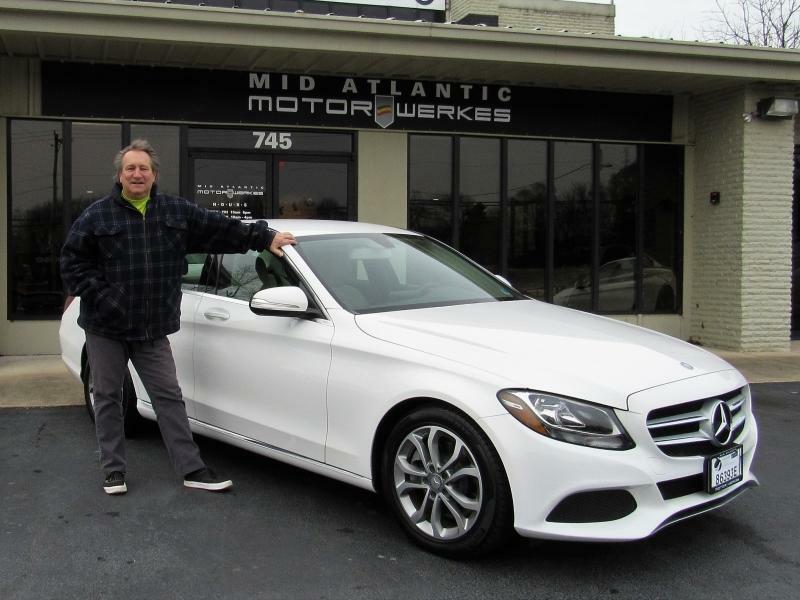 Greg and his team are incredibly knowledgeable and very particular about the quality of cars they sell. I was impressed that they were more than willing to listen to any concerns I had about the car I was looking for and answer questions without making me feel like a woman who didn’t know much about cars. I am also so happy that I was able to support a local business but not have to settle for anything less than top-notch service and quality. 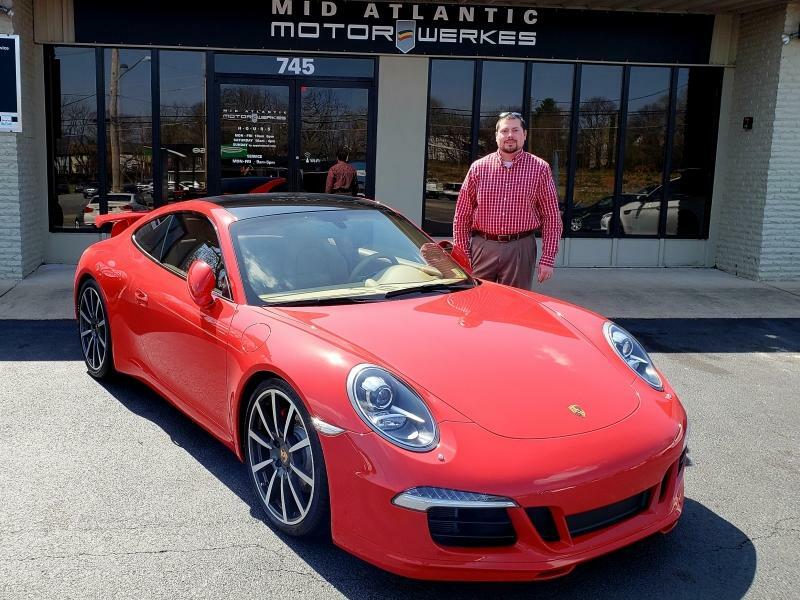 I am very confident that the routine service of my husband’s Porsche at Mid Atlantic Motorwerkes will be nothing but thorough and of the highest performance to keep his dream car running perfectly! 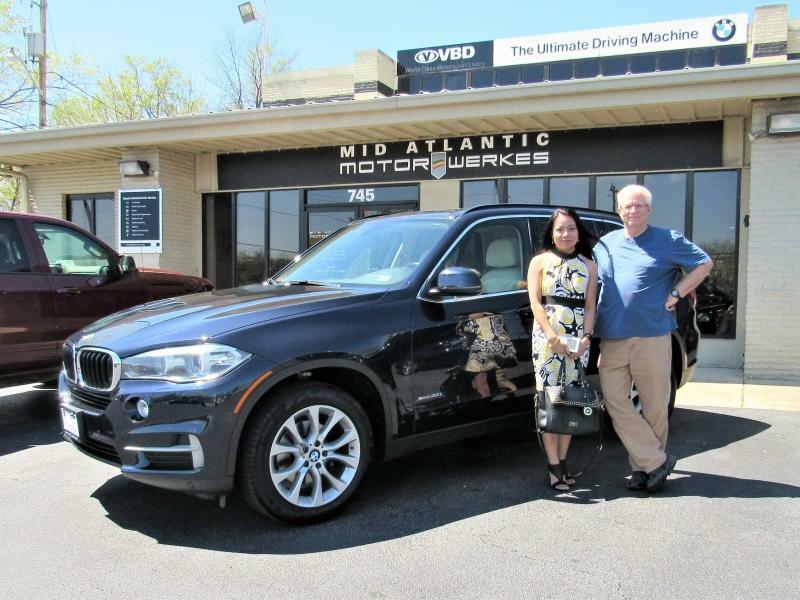 Thank you so much to the Mid Atlantic Motorwerkes team! !